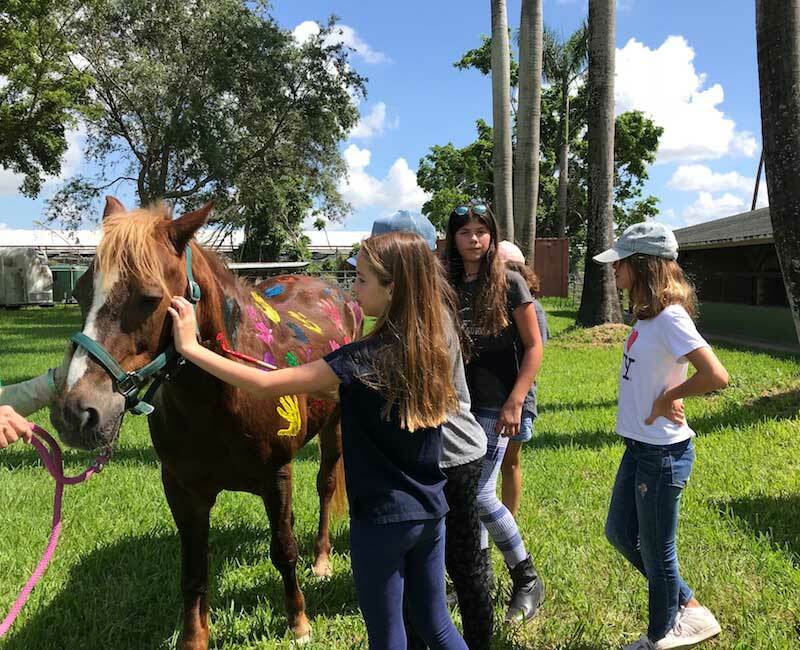 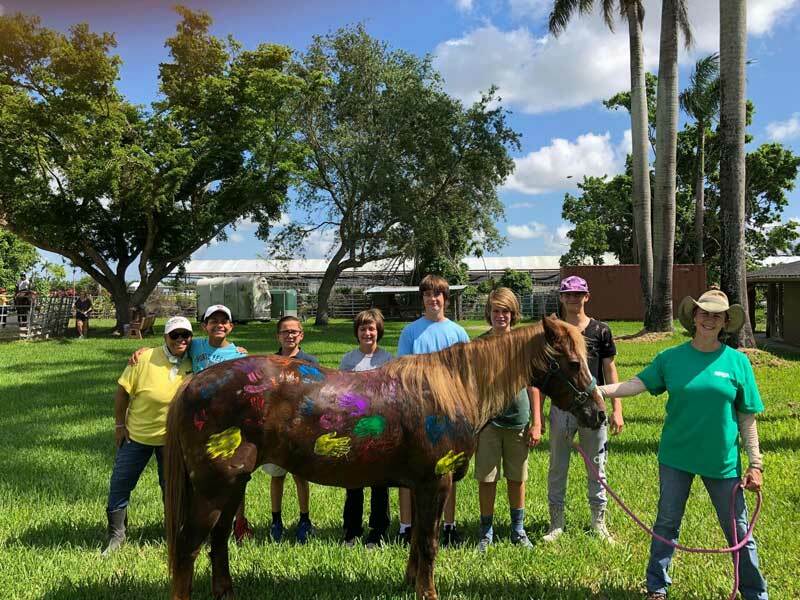 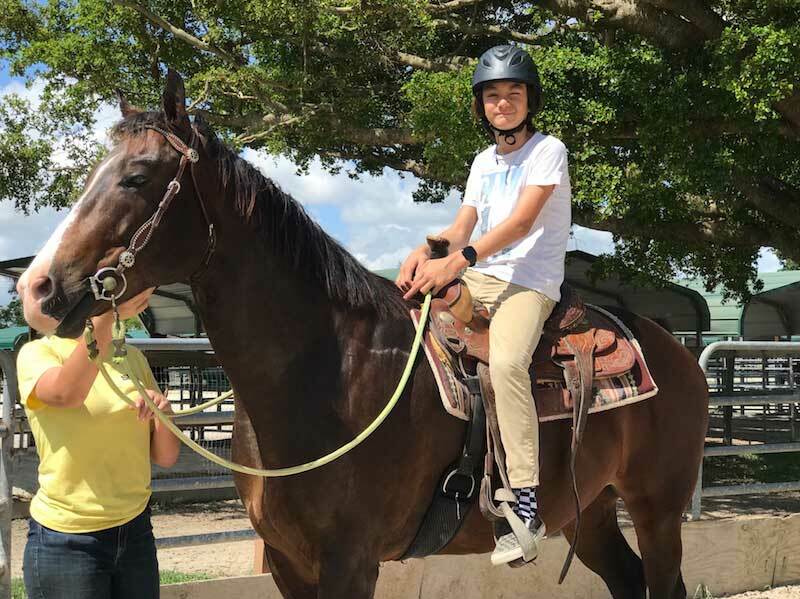 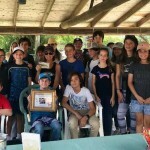 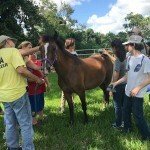 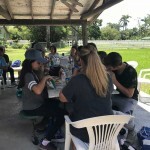 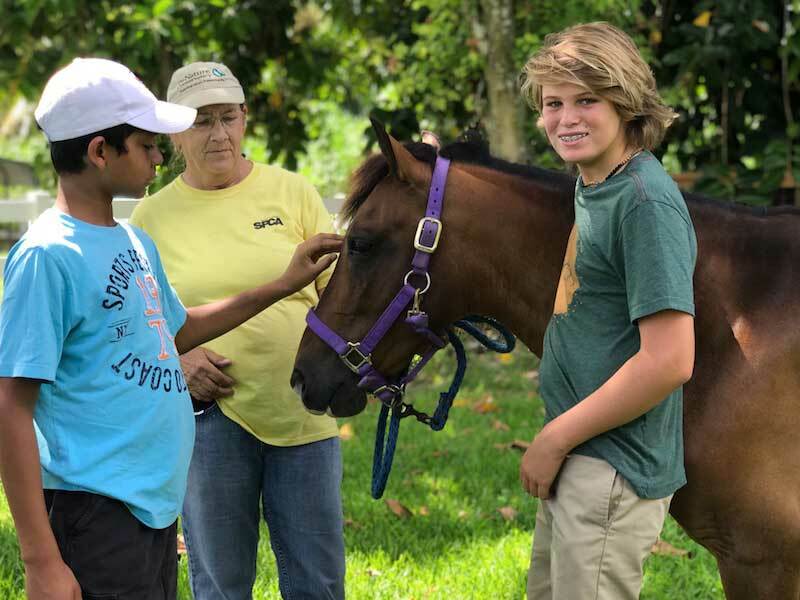 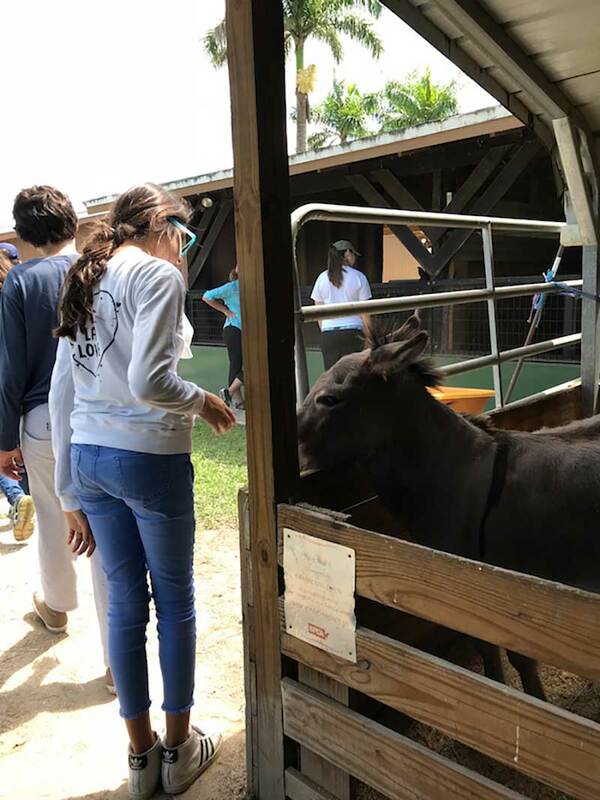 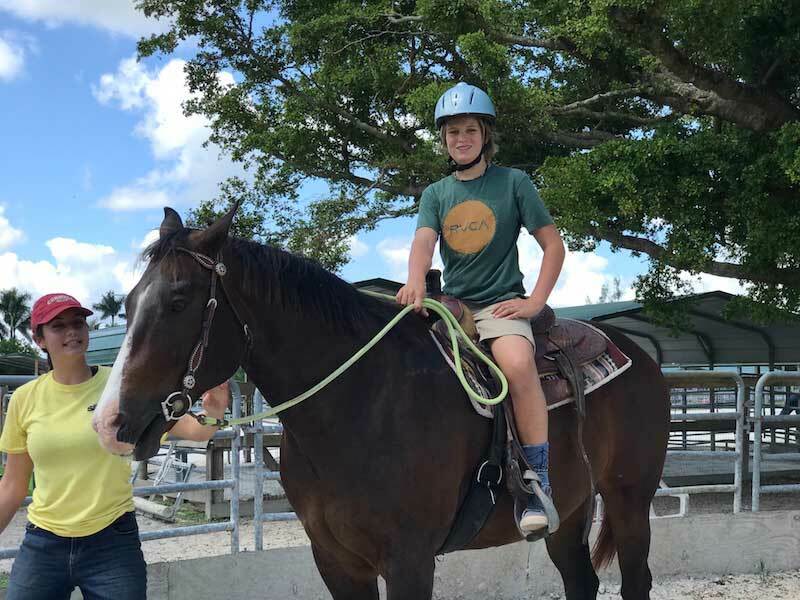 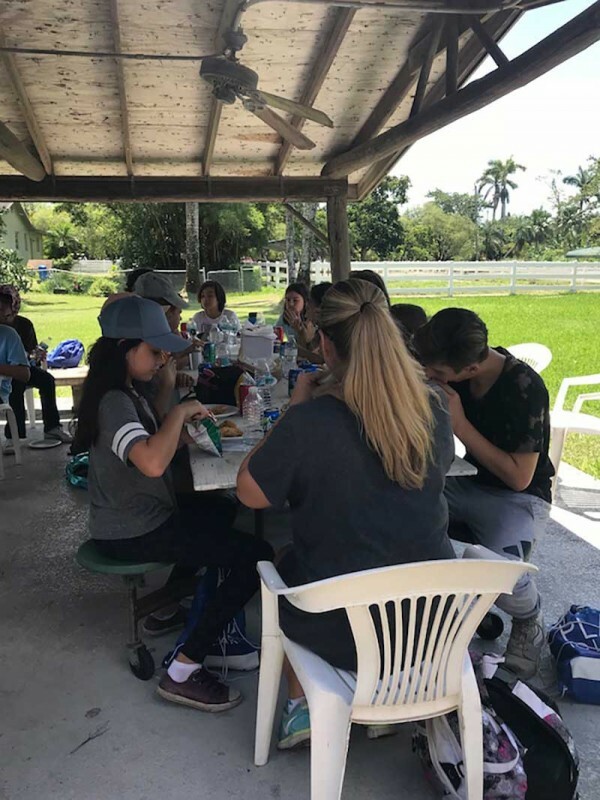 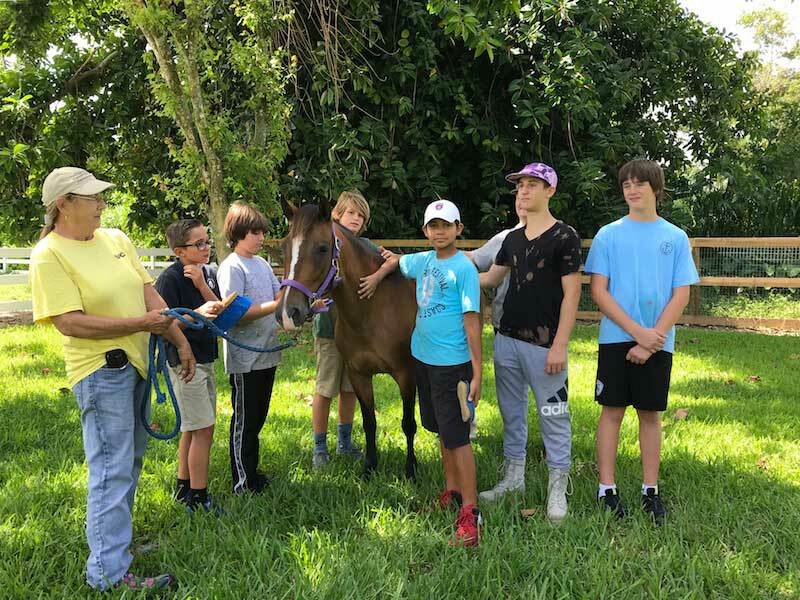 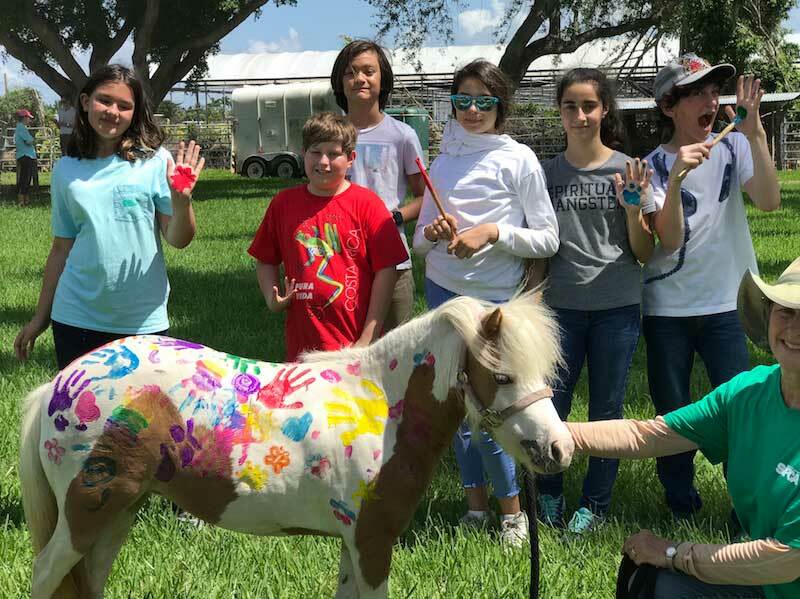 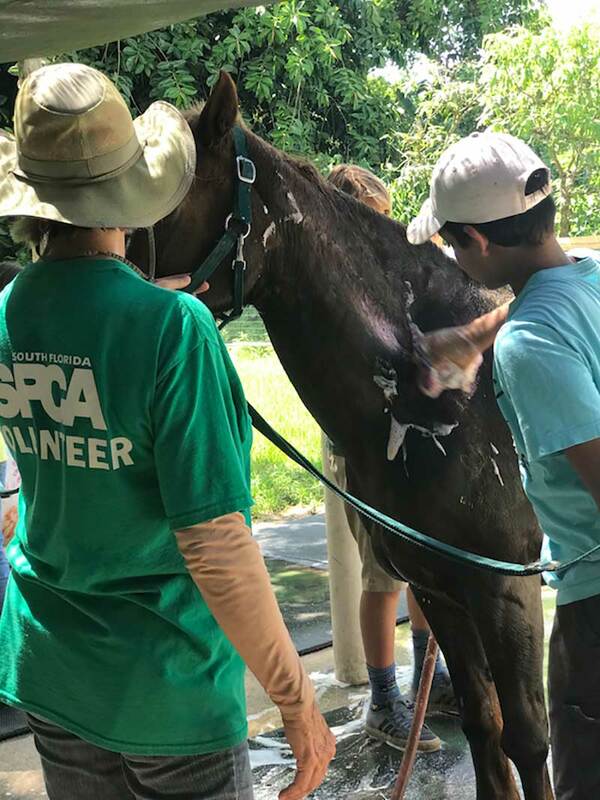 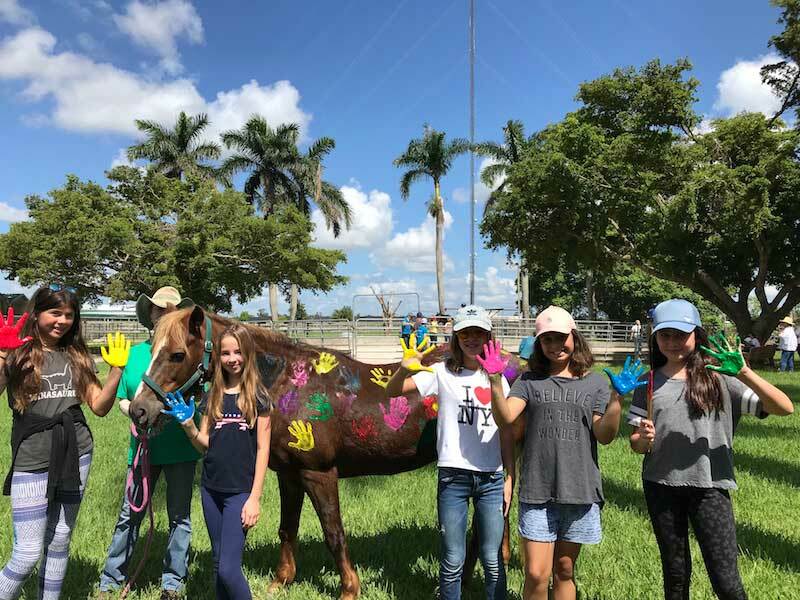 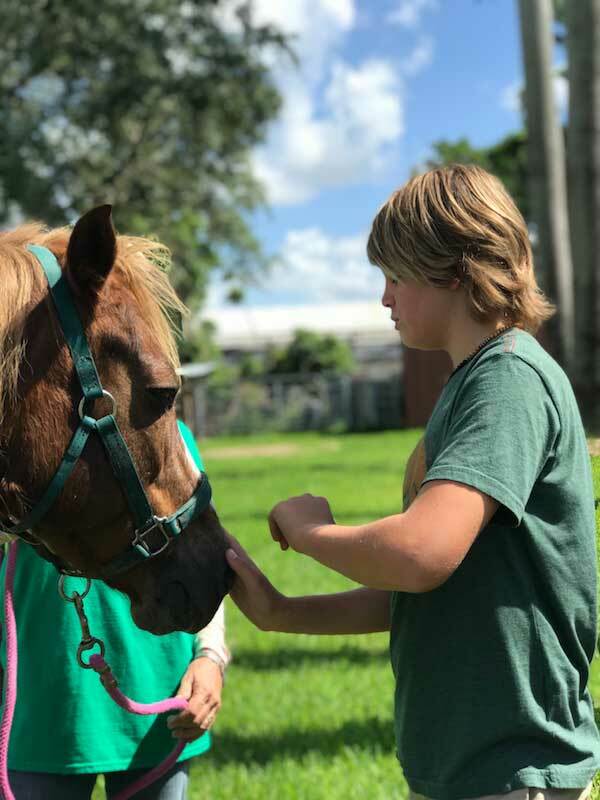 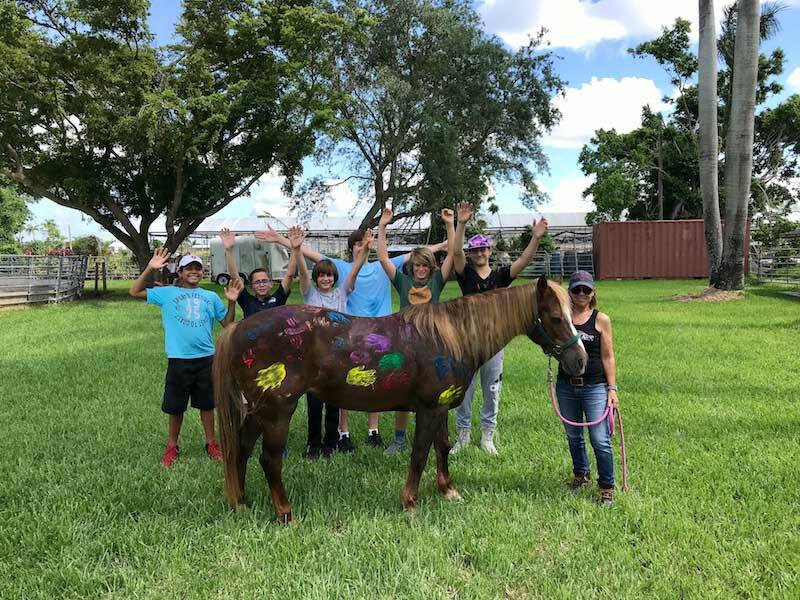 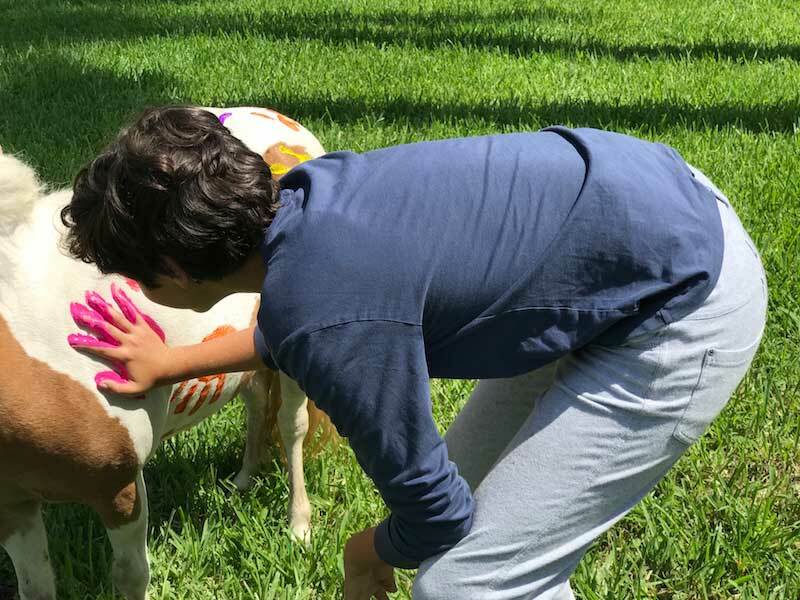 It was a day of learning and loving for 22 middle school students from Miami’s Cushman School at South Florida SPCA on Monday, June 4, 2018. 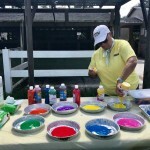 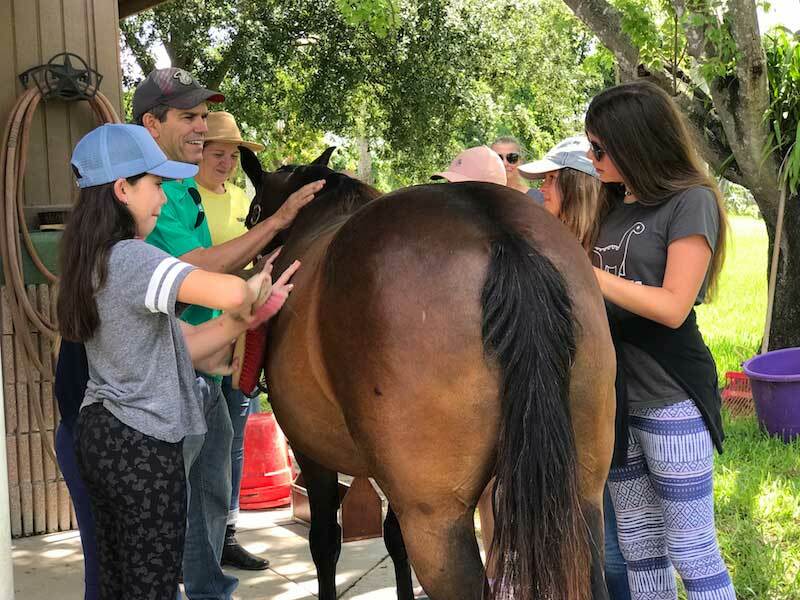 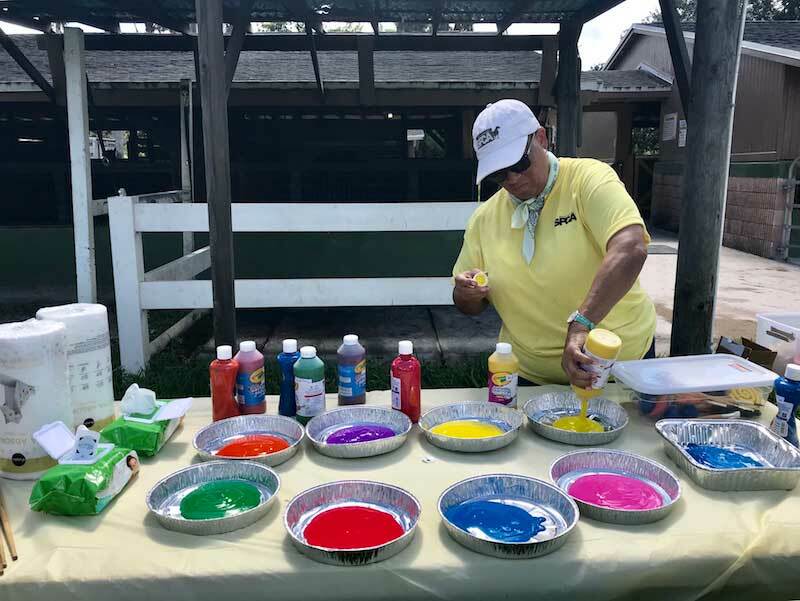 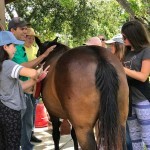 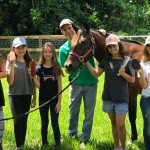 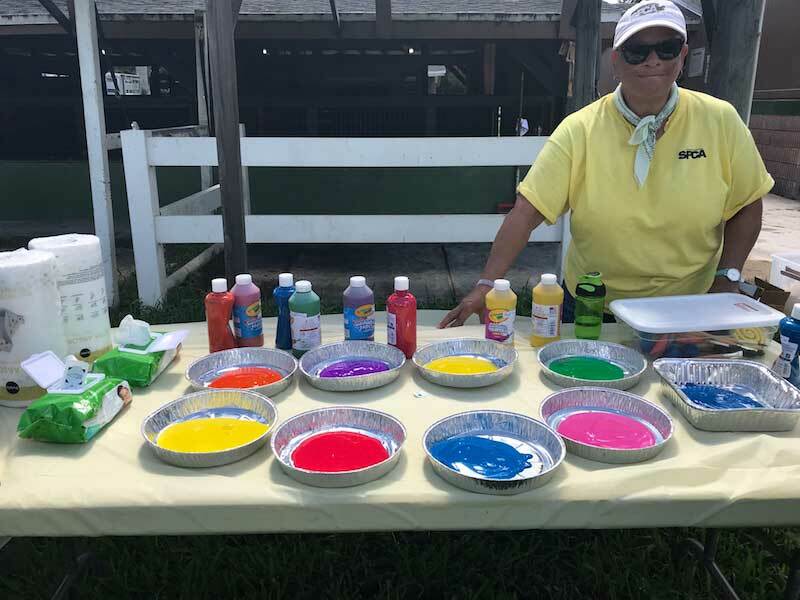 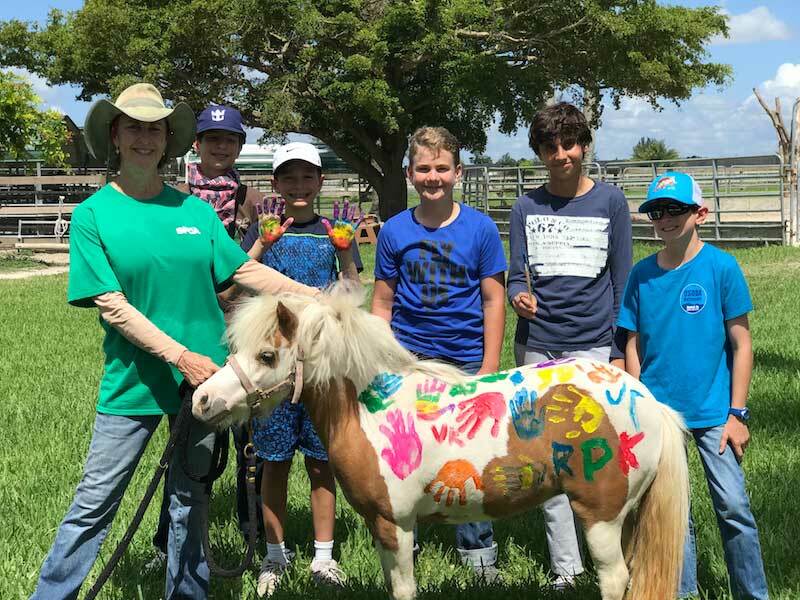 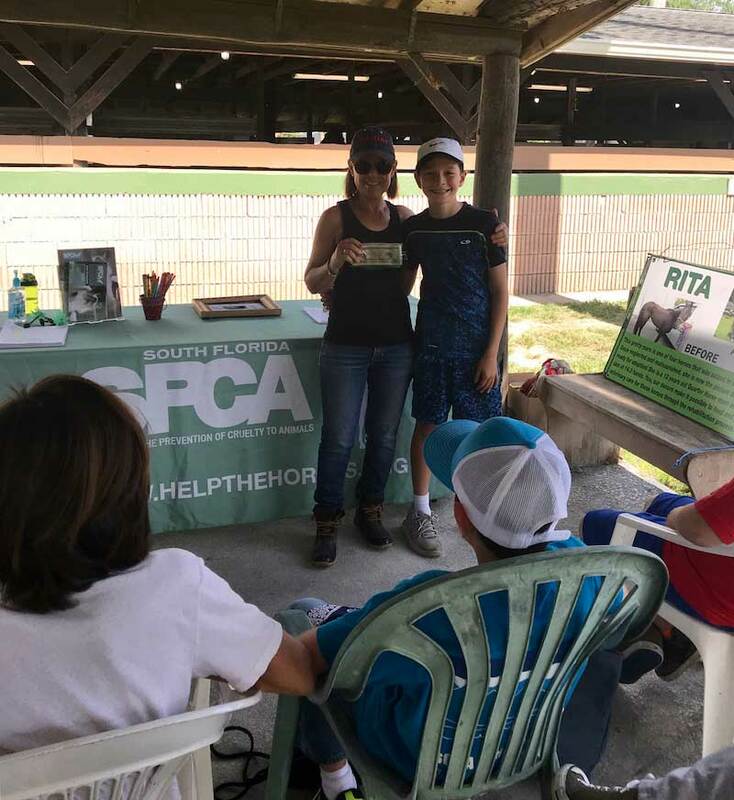 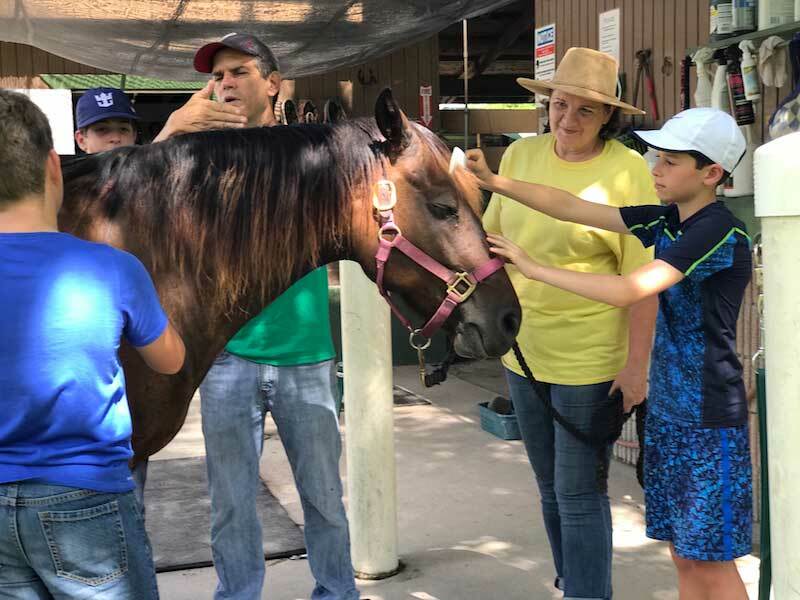 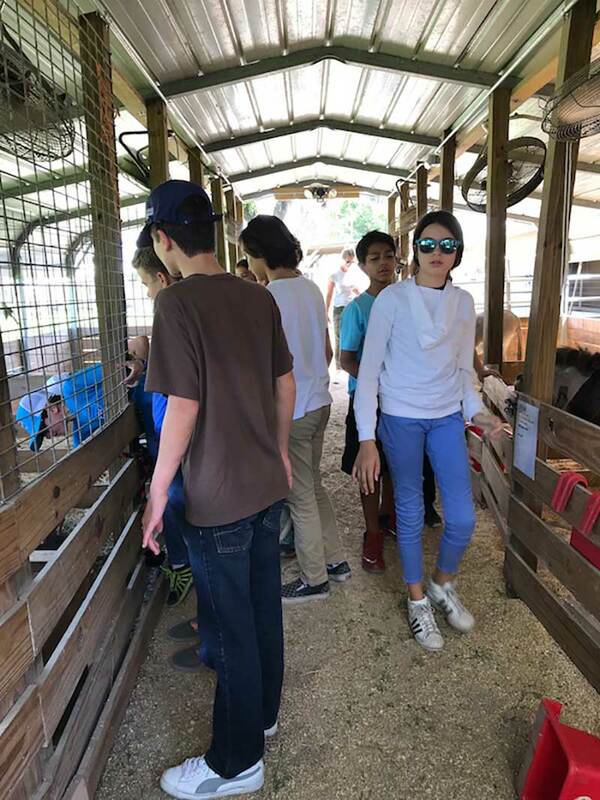 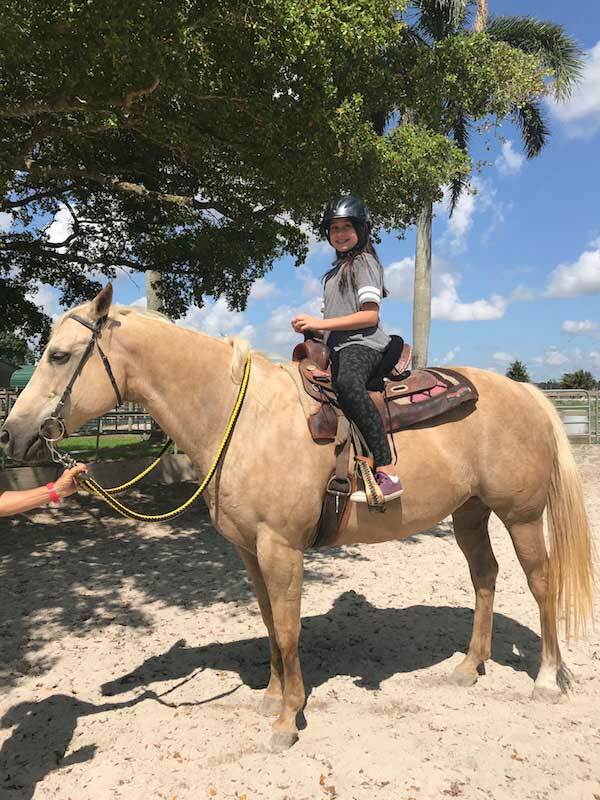 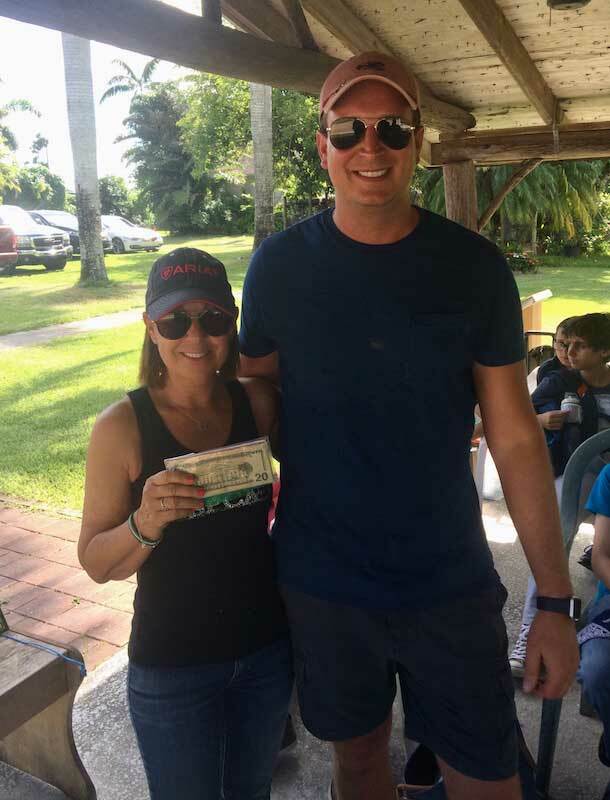 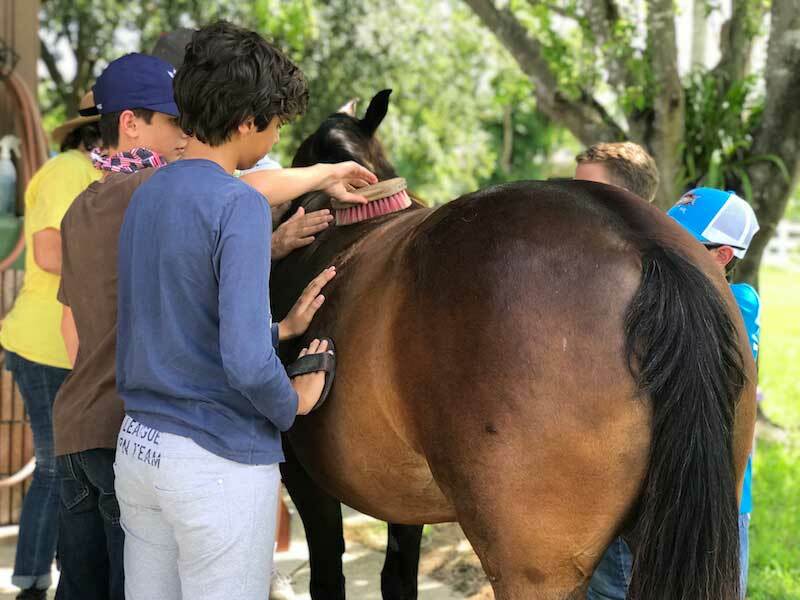 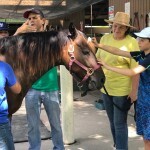 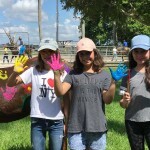 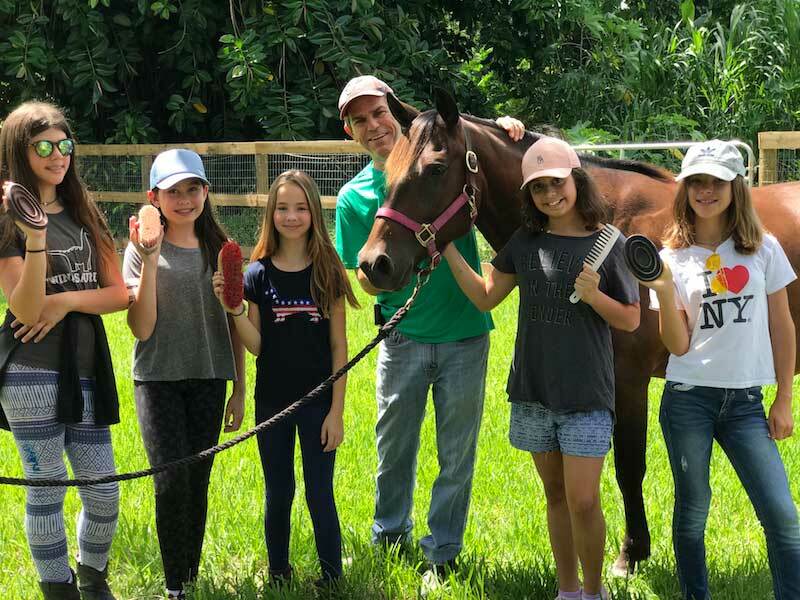 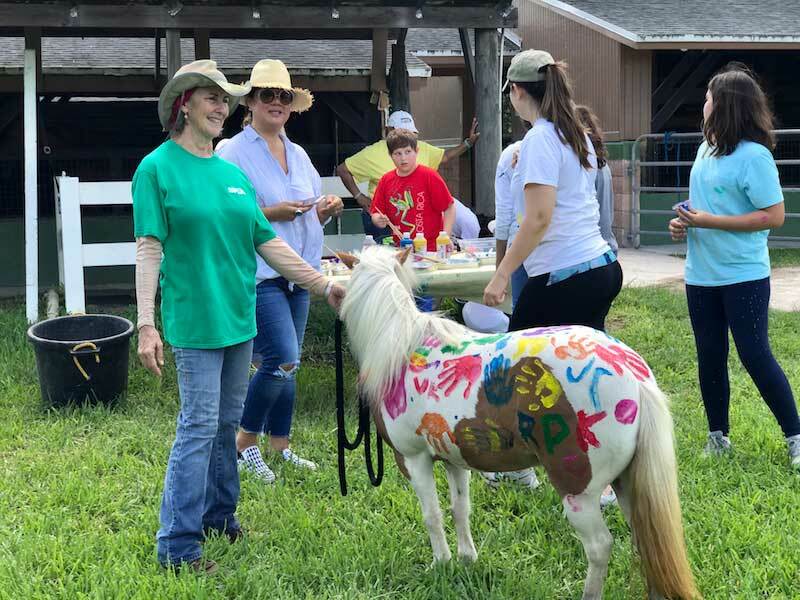 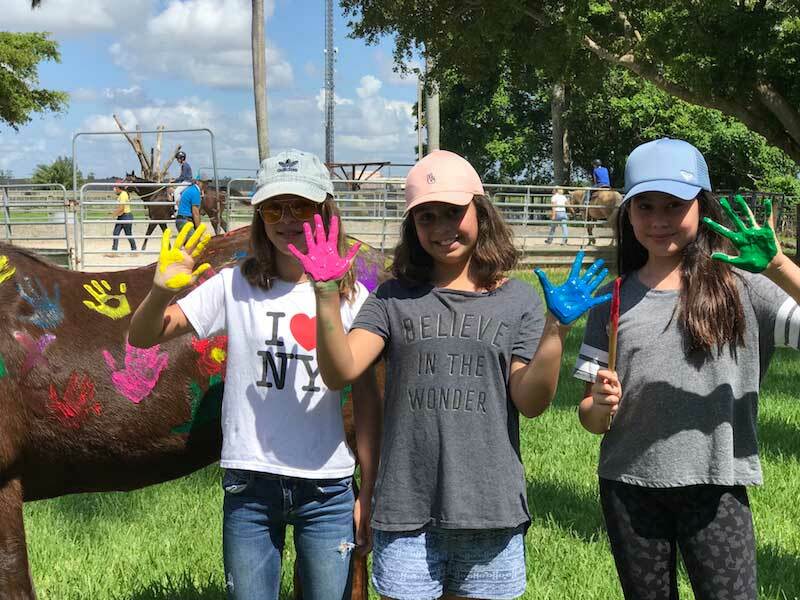 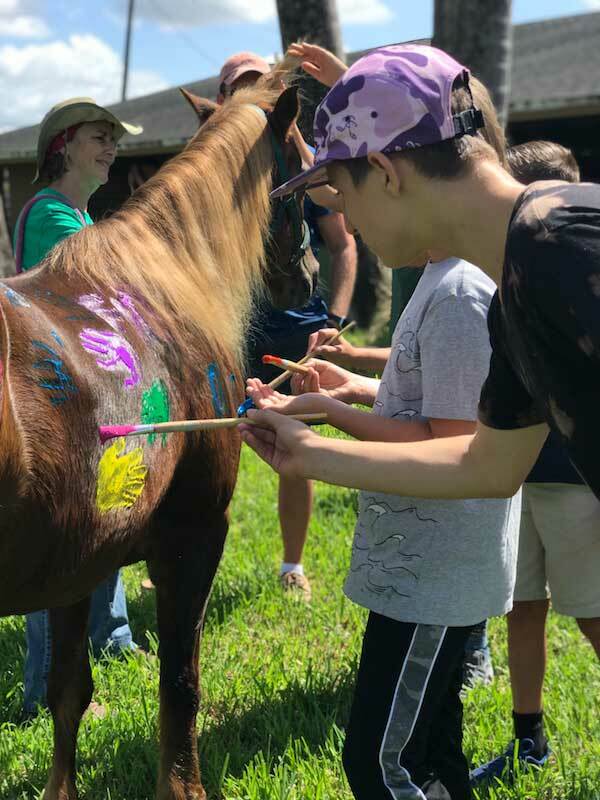 The group – along with English teacher Mark Field, students’ parents and school staff members – were welcomed to the rescue ranch for an Education/Outreach day capping off their philanthropic fundraising efforts for SFSPCA. 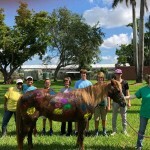 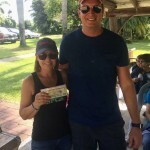 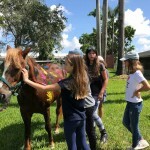 Through various activities, the students raised and donated $912 to help the horses. 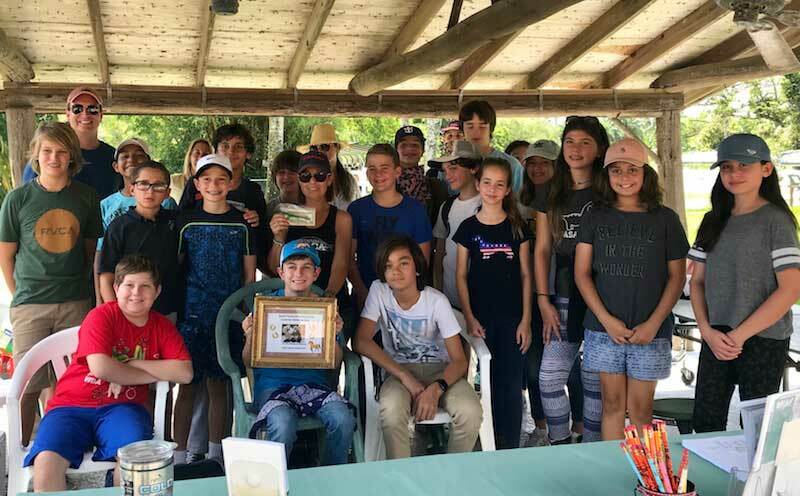 This is the second year students from the Cushman School have visited and fundraised for SFSPCA, last year donating $540. 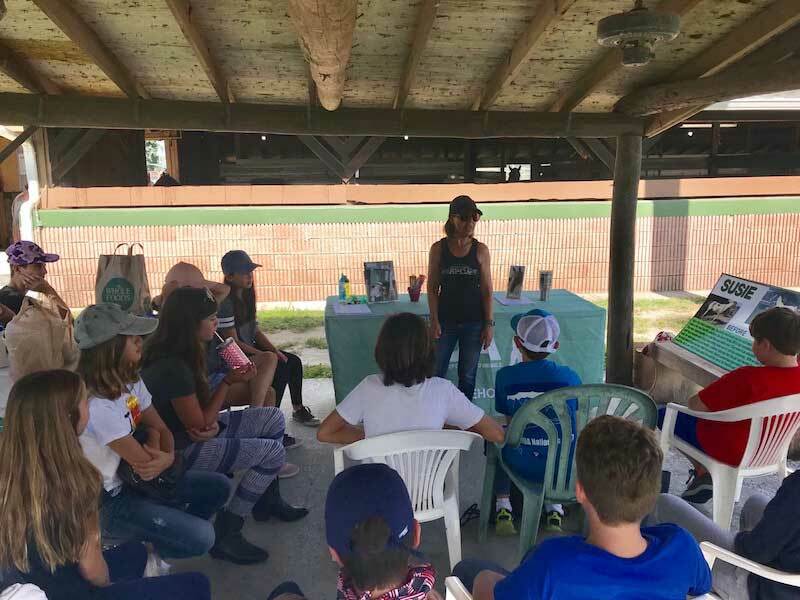 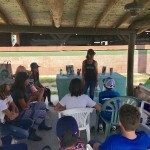 Susie Martell, SFSPCA Education/Outreach Coordinator, gave a presentation on the organization’s mission, and answered questions about equine care and welfare. 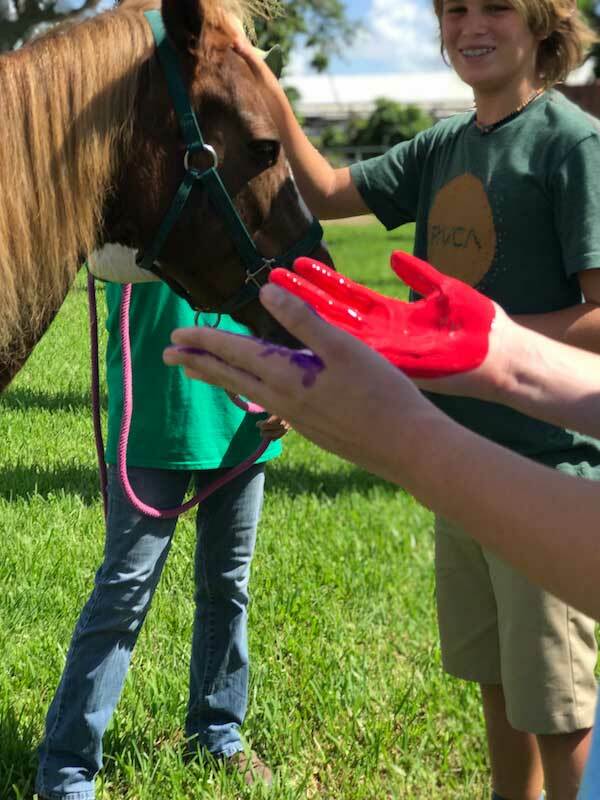 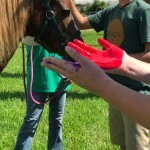 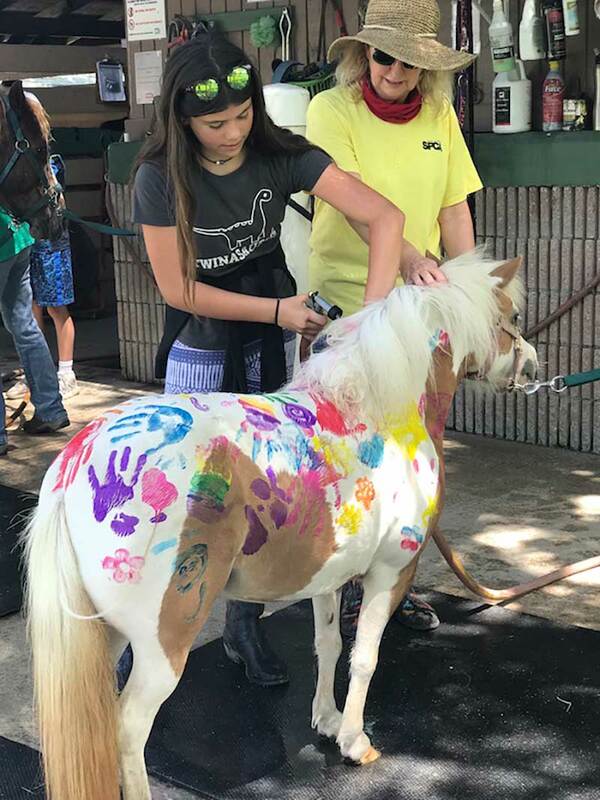 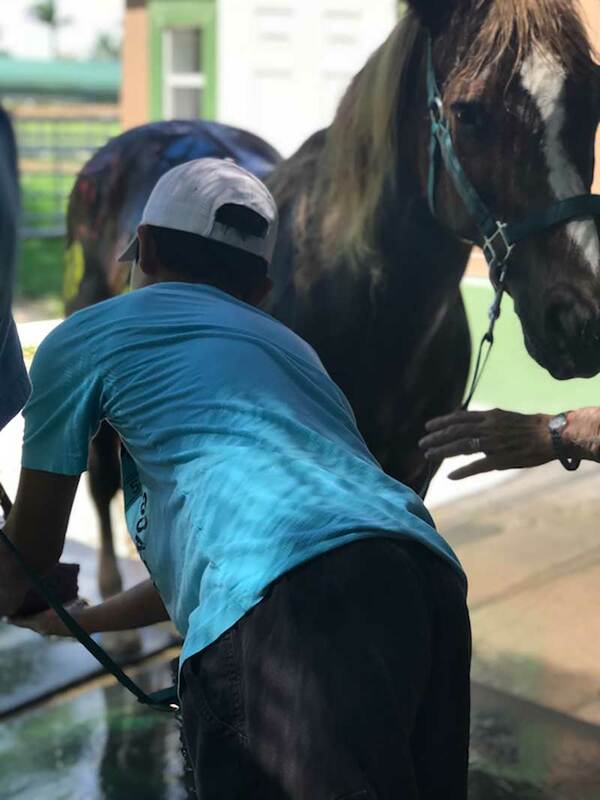 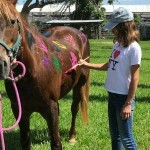 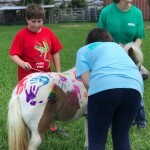 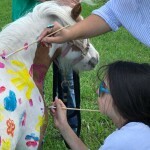 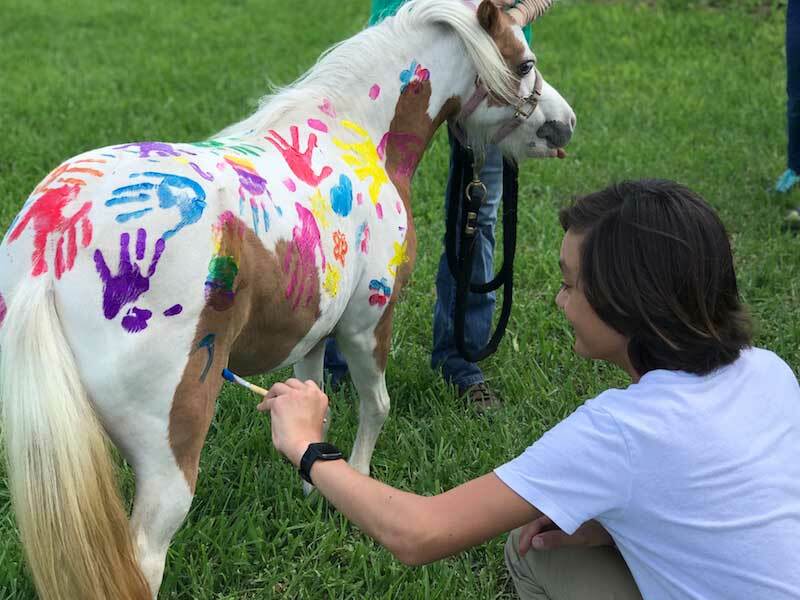 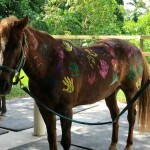 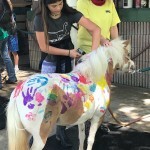 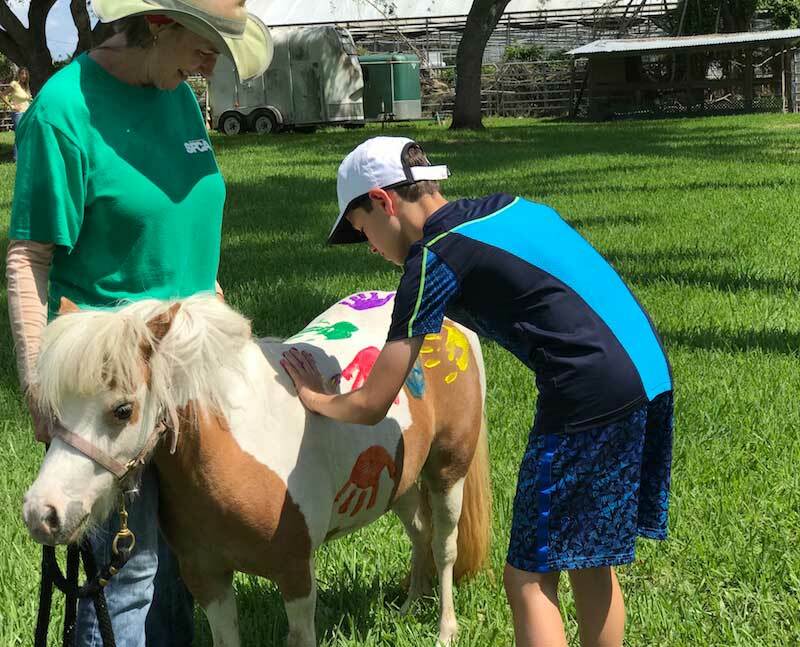 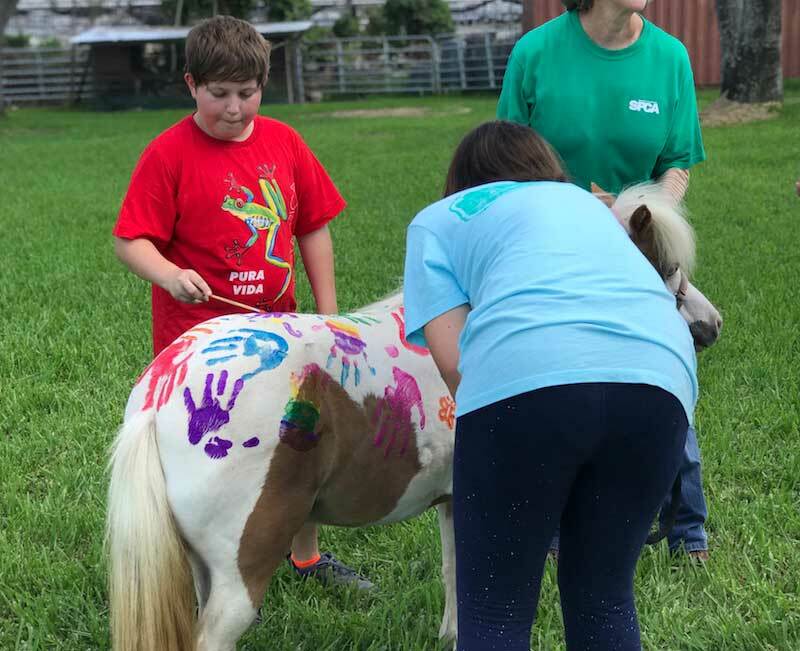 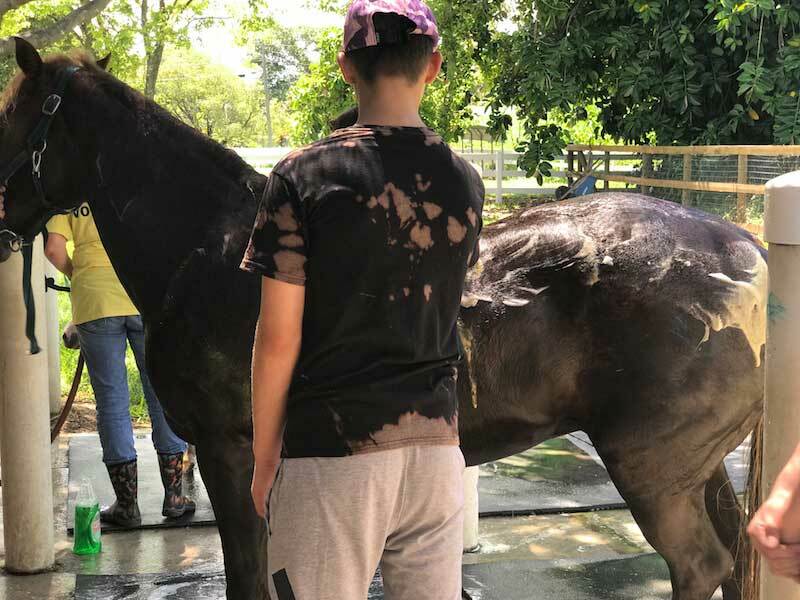 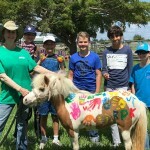 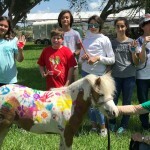 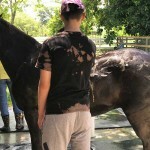 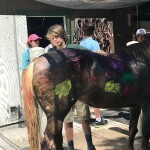 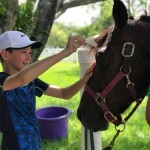 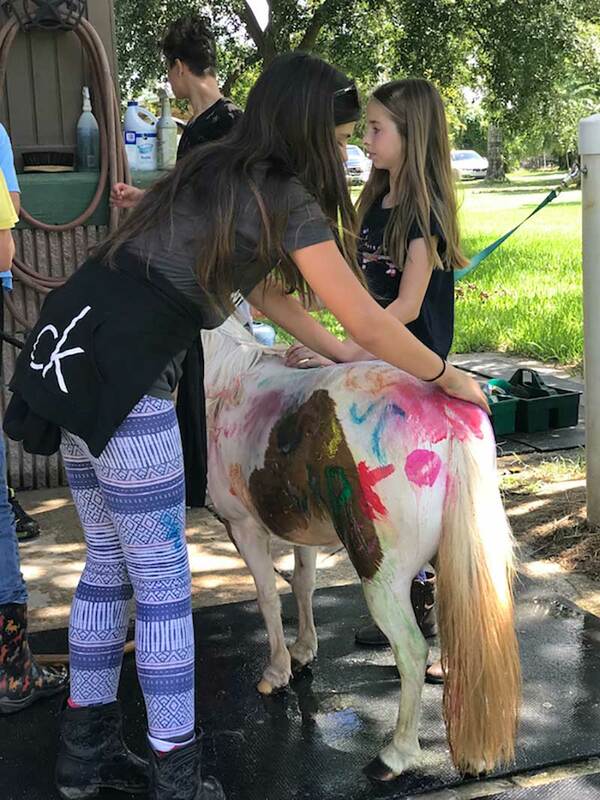 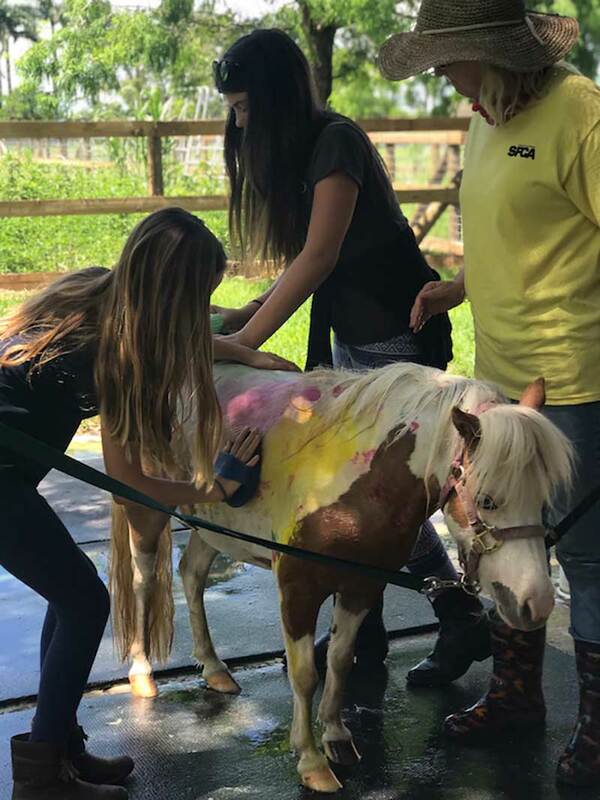 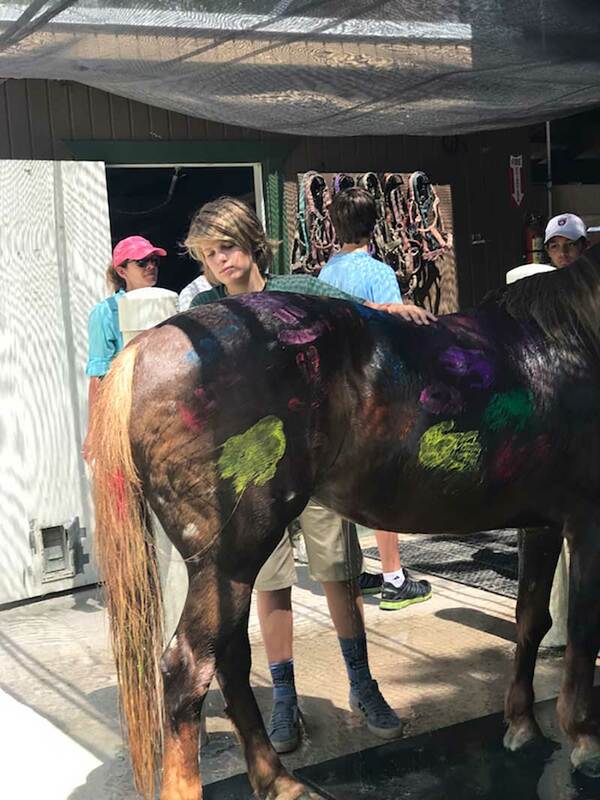 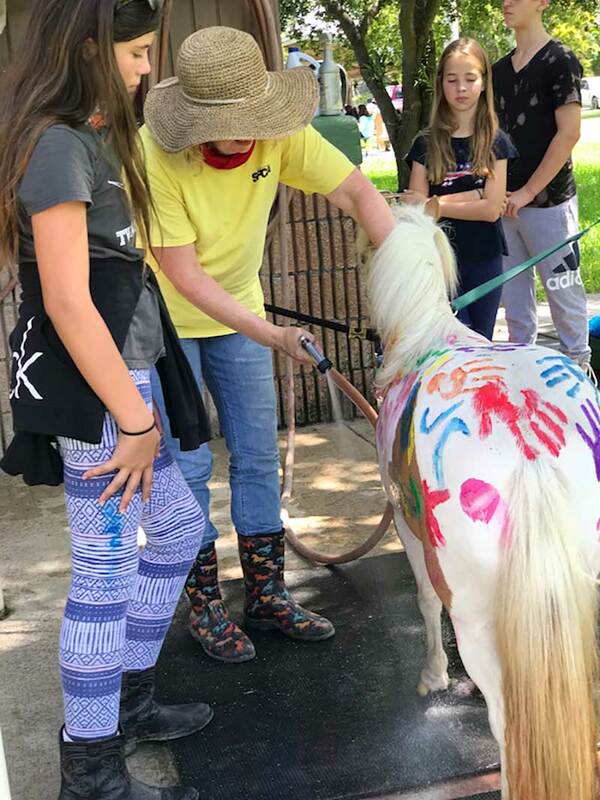 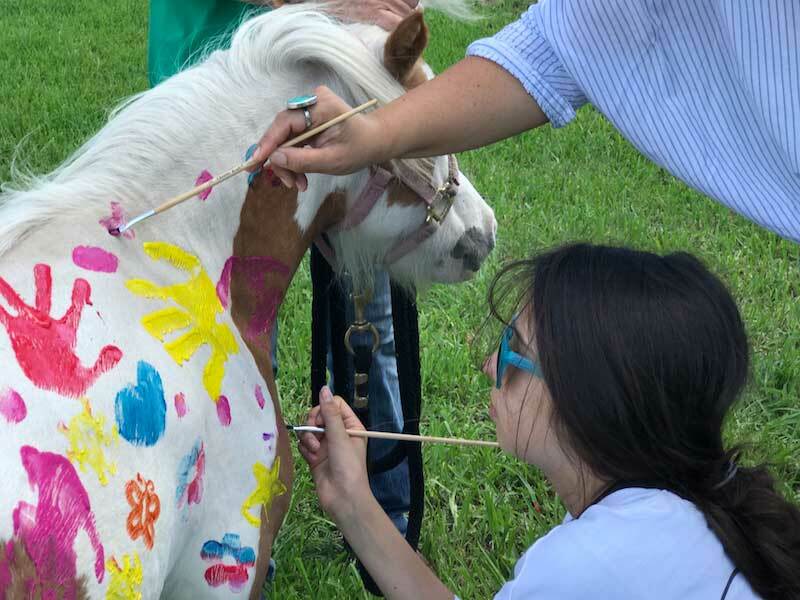 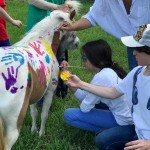 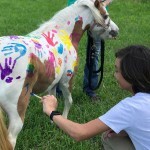 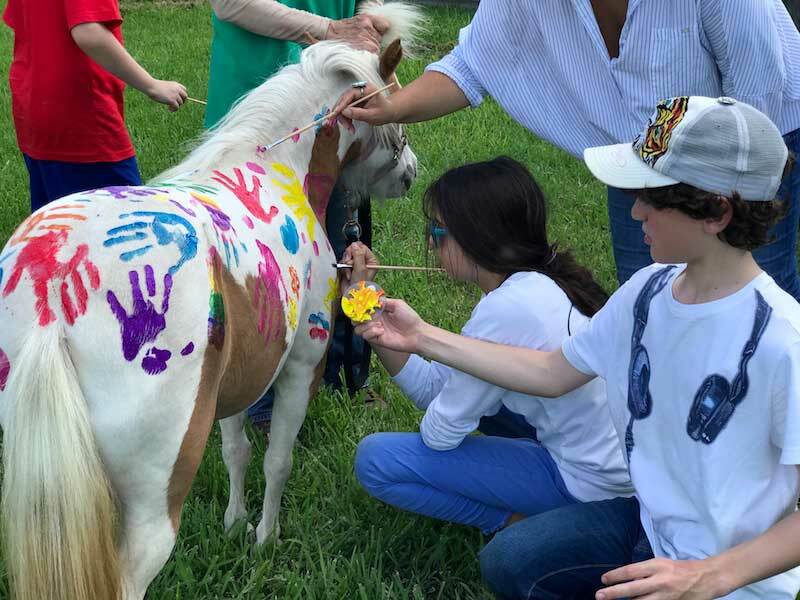 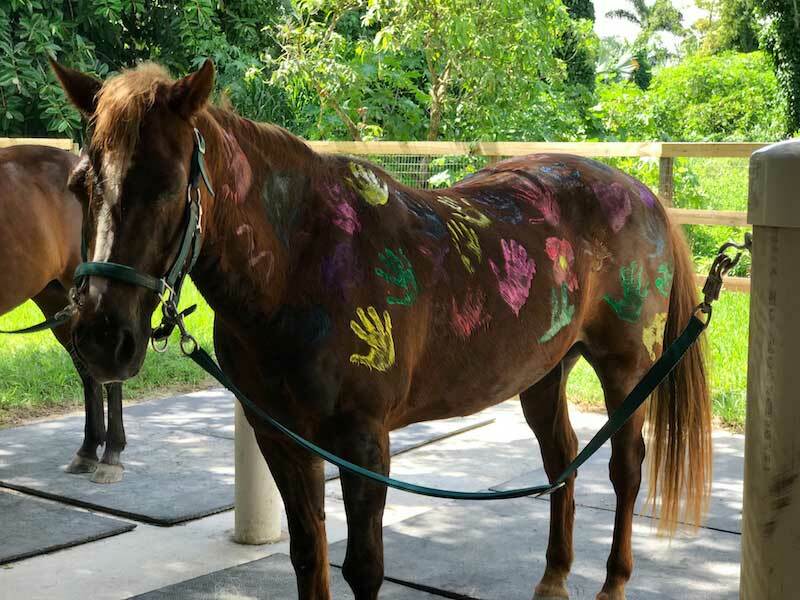 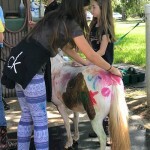 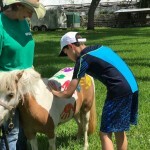 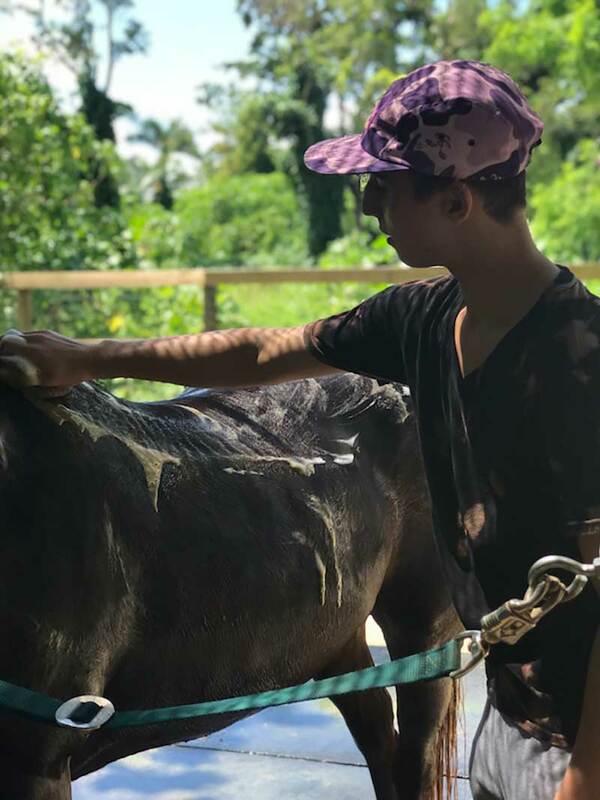 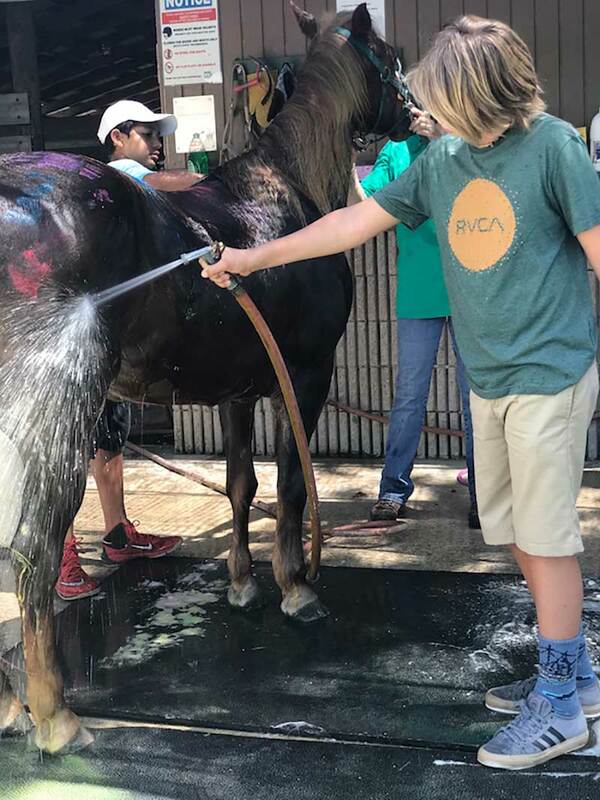 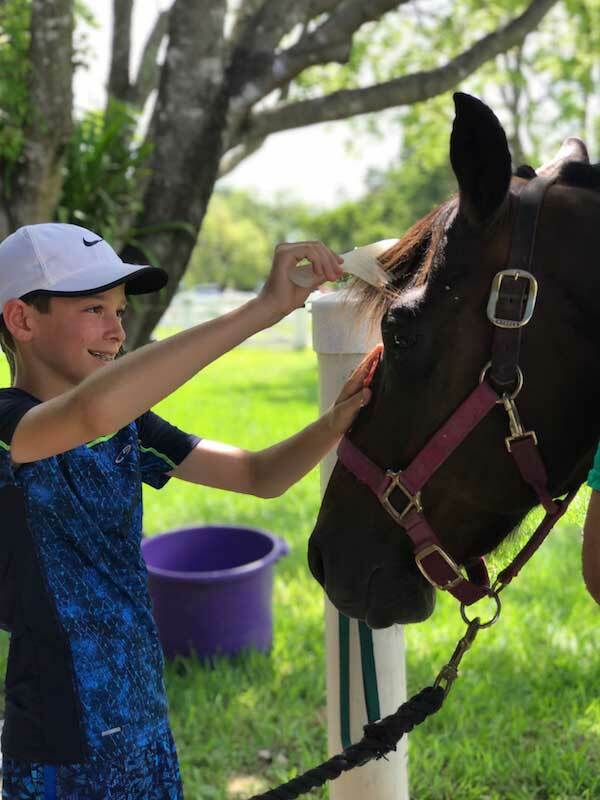 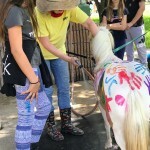 Students got to “paint the ponies,” and bathe and groom them afterwards. 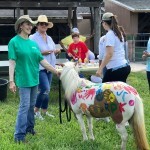 They also toured the barns, took turns riding horses Diva and Settle For, and got lots of hands-on time with rescue horses Autumn and Martini. 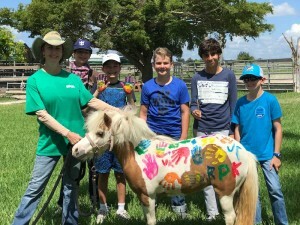 Special thanks to Susie for coordinating the visit with the school, along with SFSPCA volunteers, staff and board members who made the day such a wonderful success. 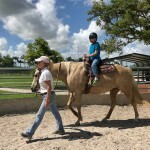 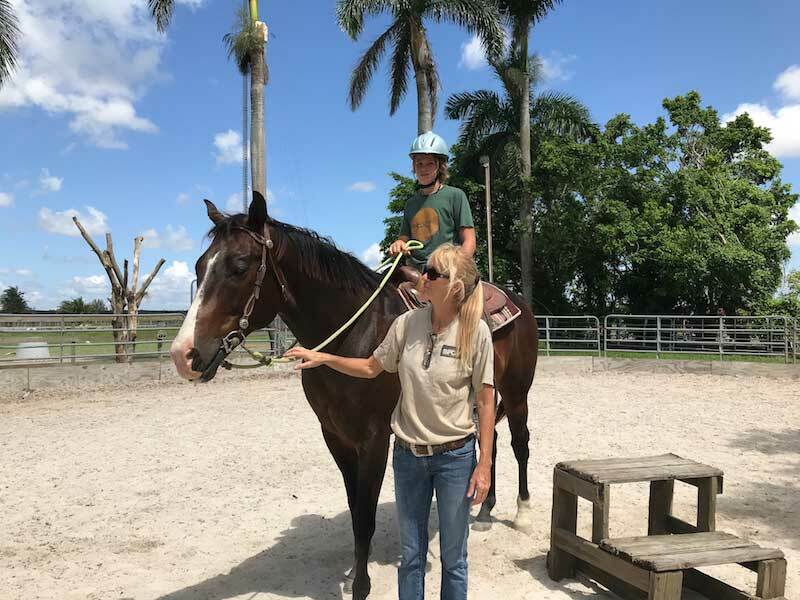 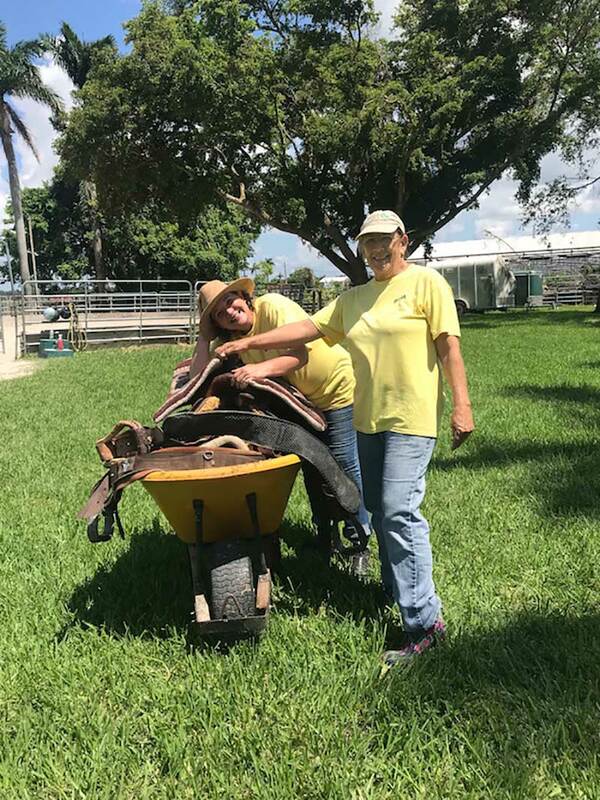 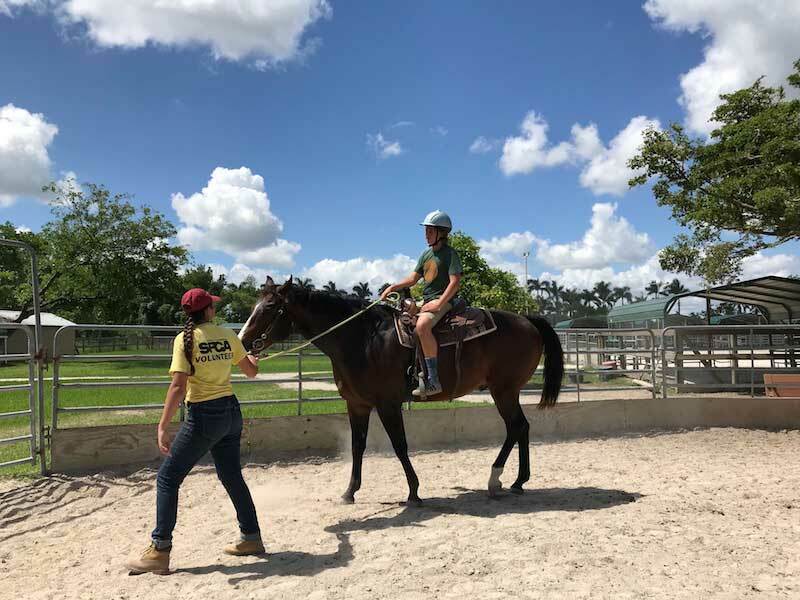 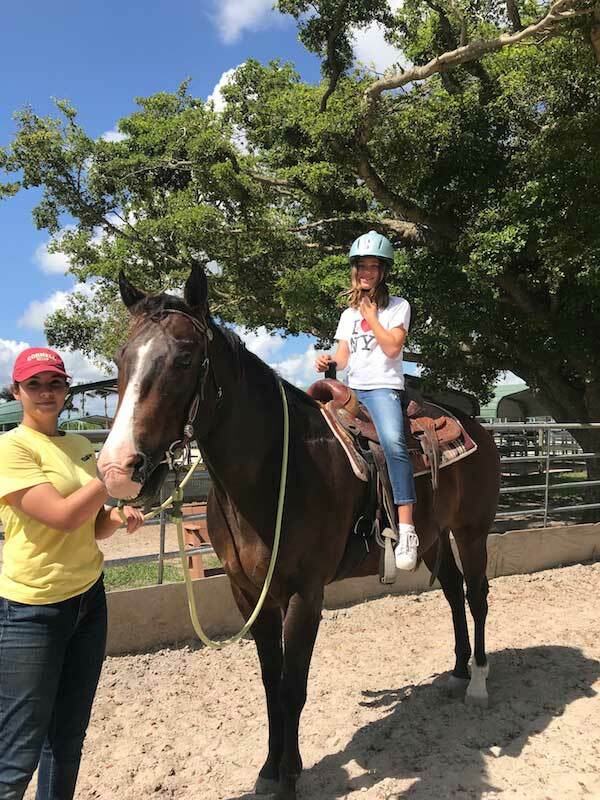 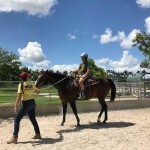 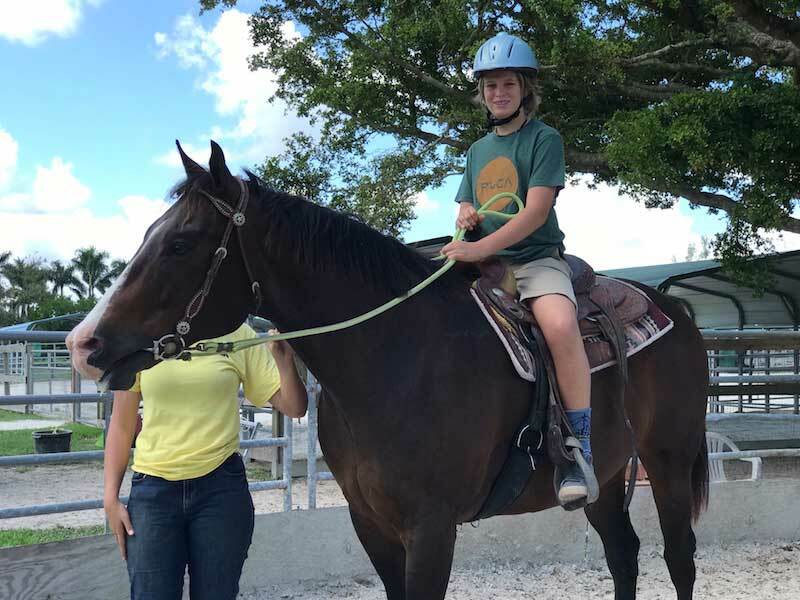 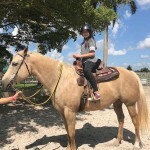 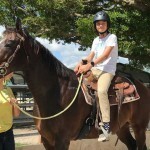 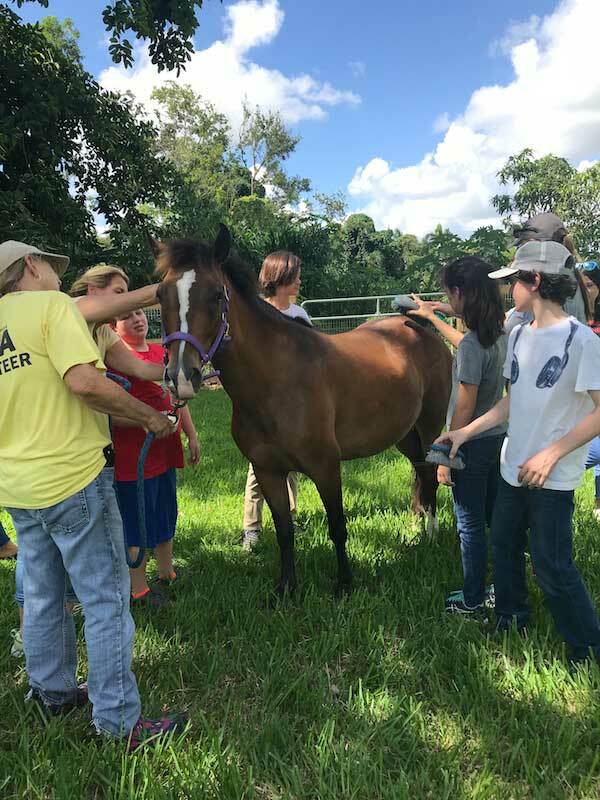 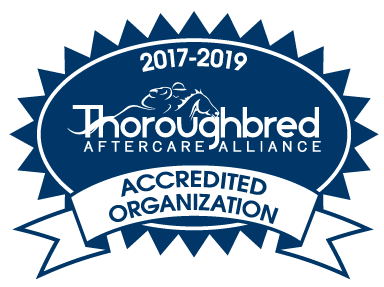 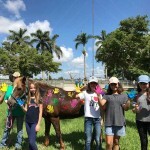 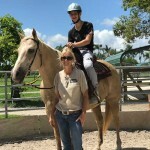 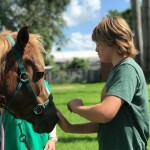 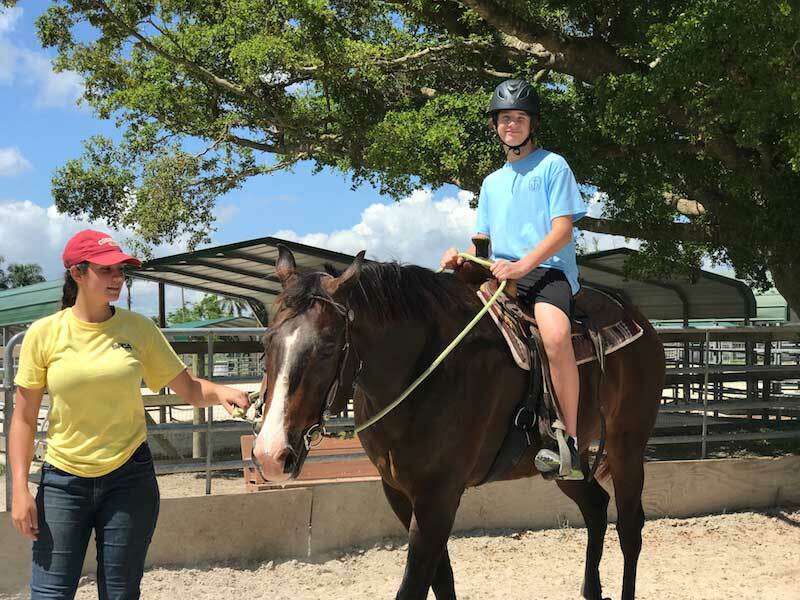 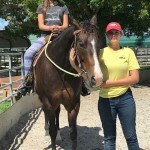 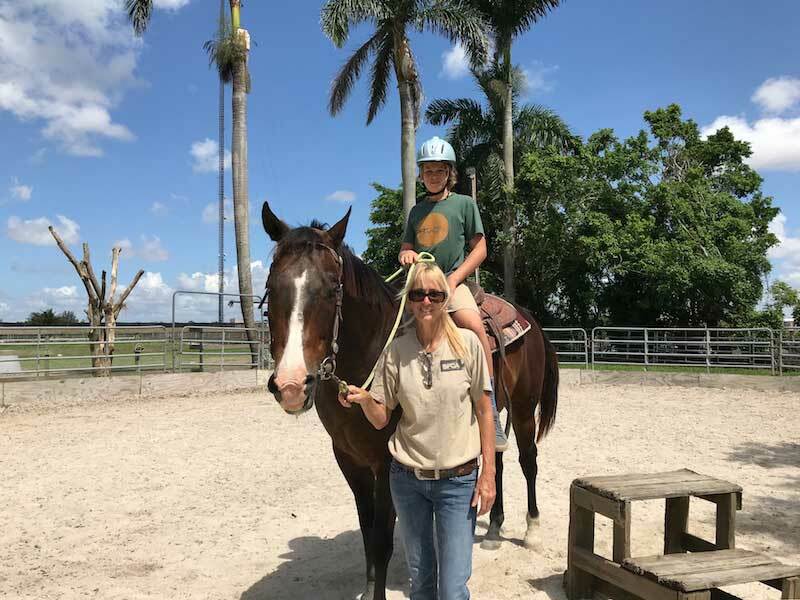 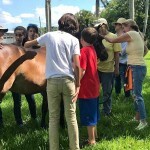 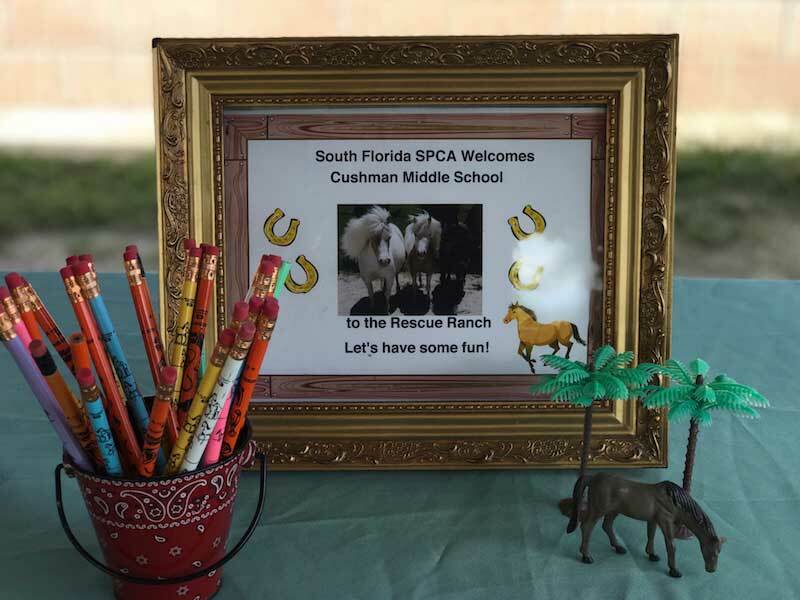 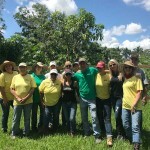 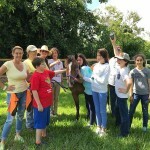 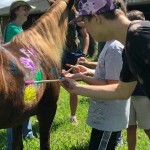 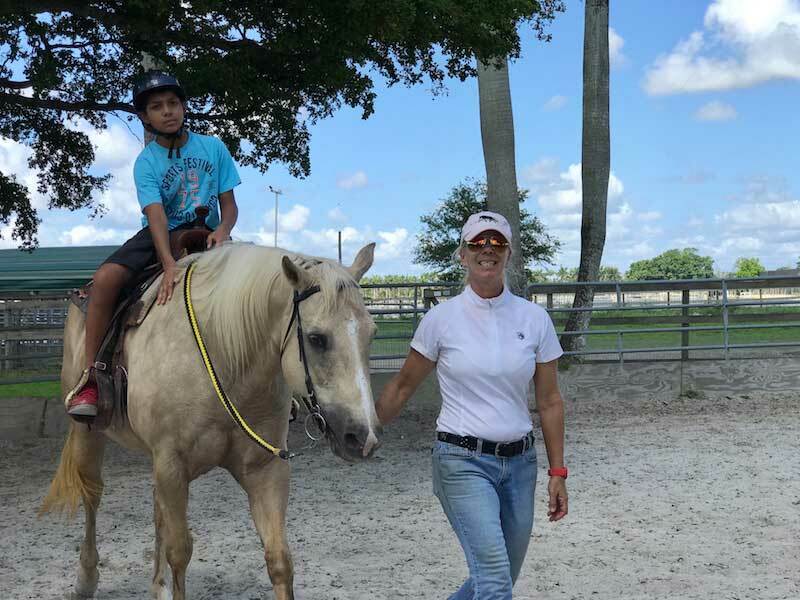 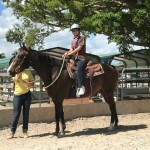 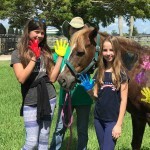 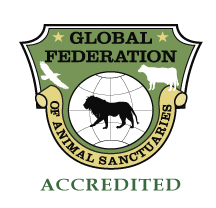 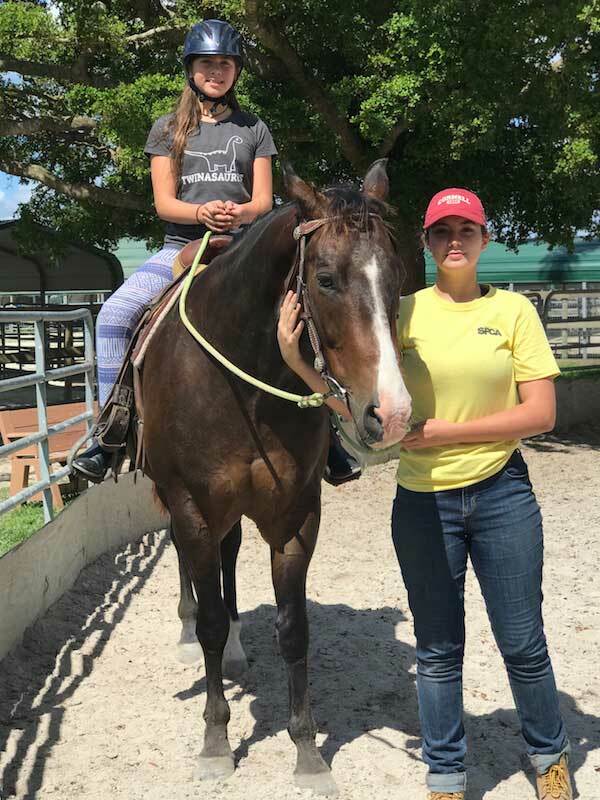 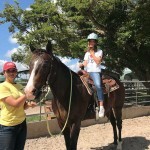 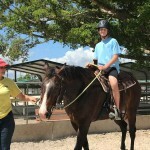 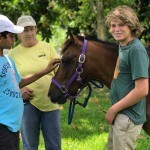 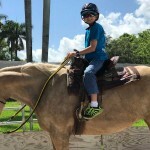 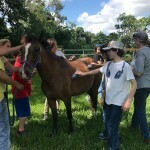 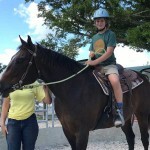 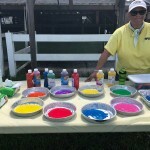 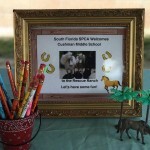 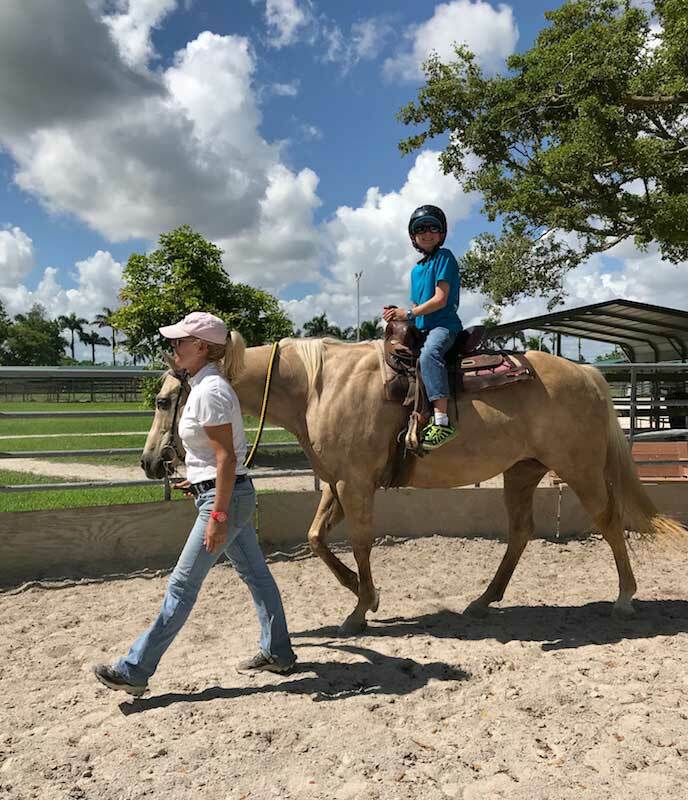 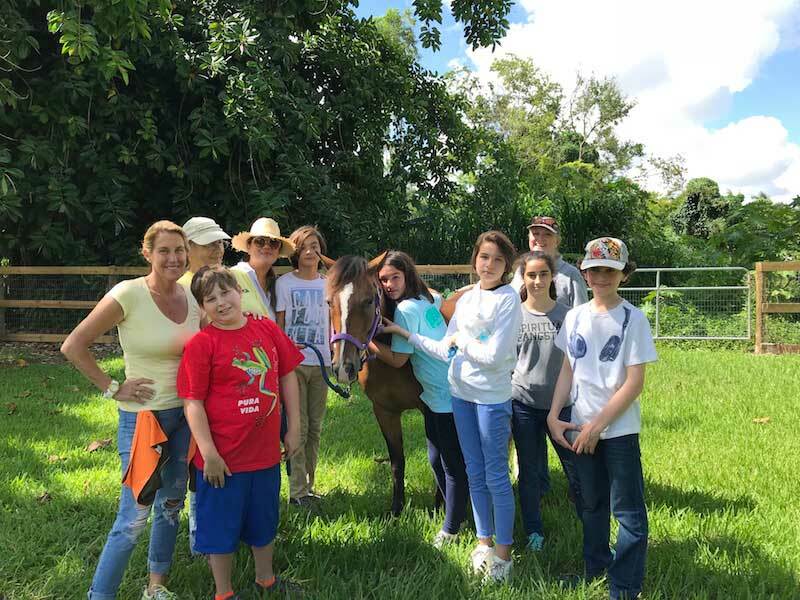 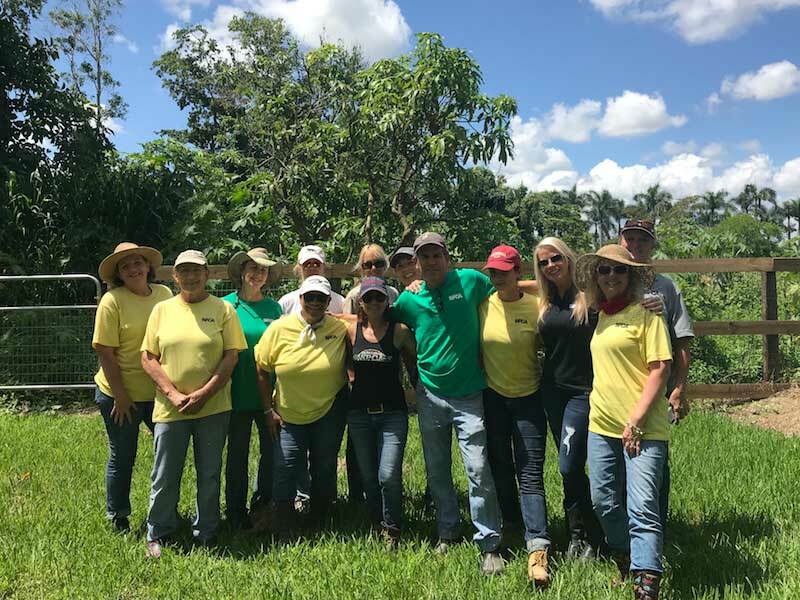 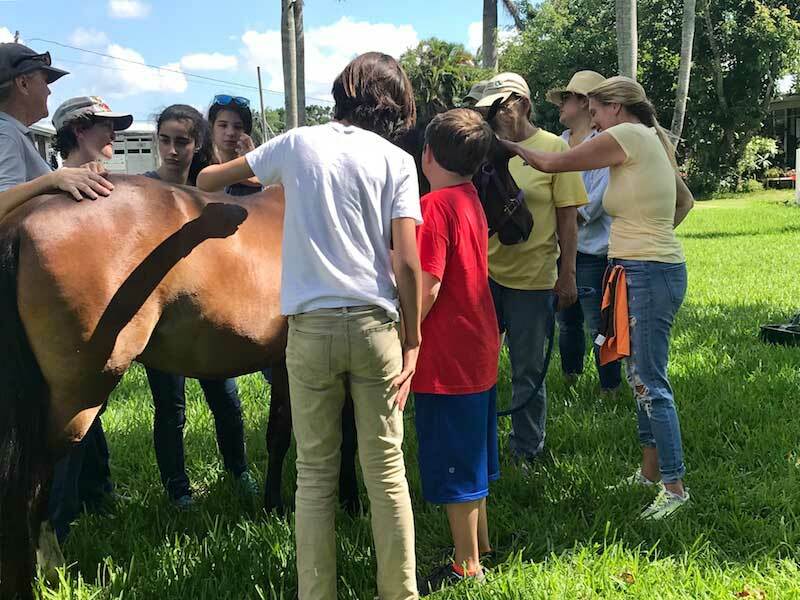 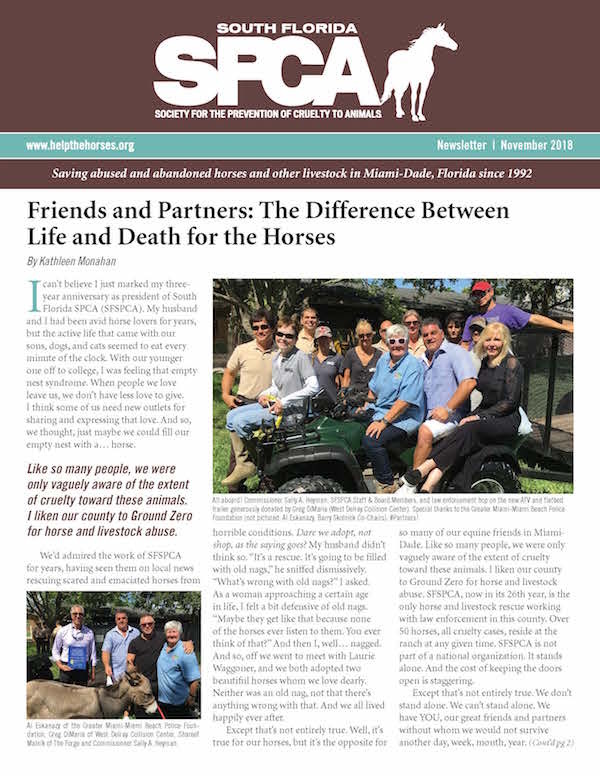 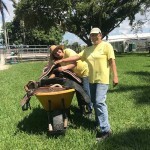 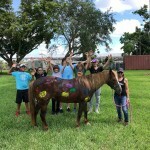 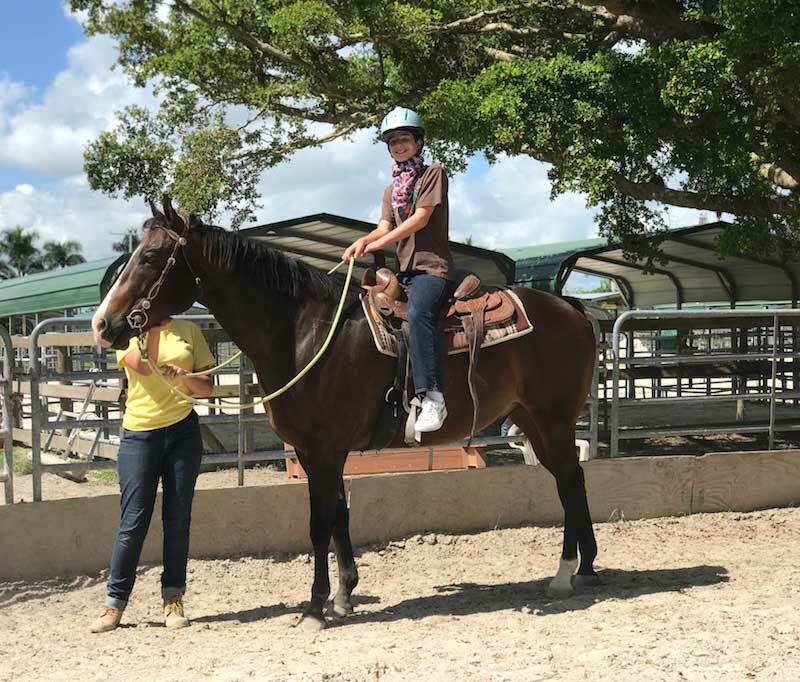 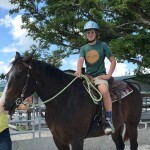 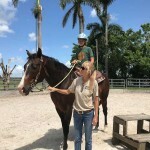 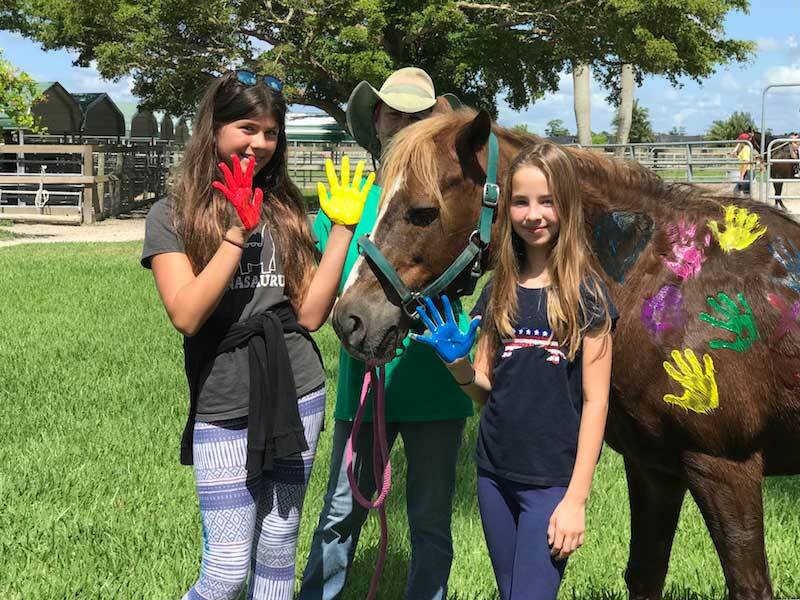 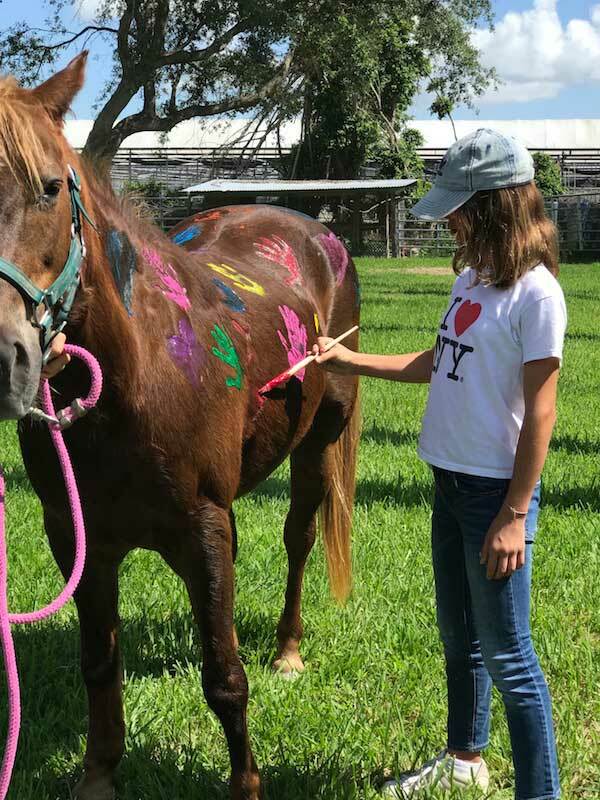 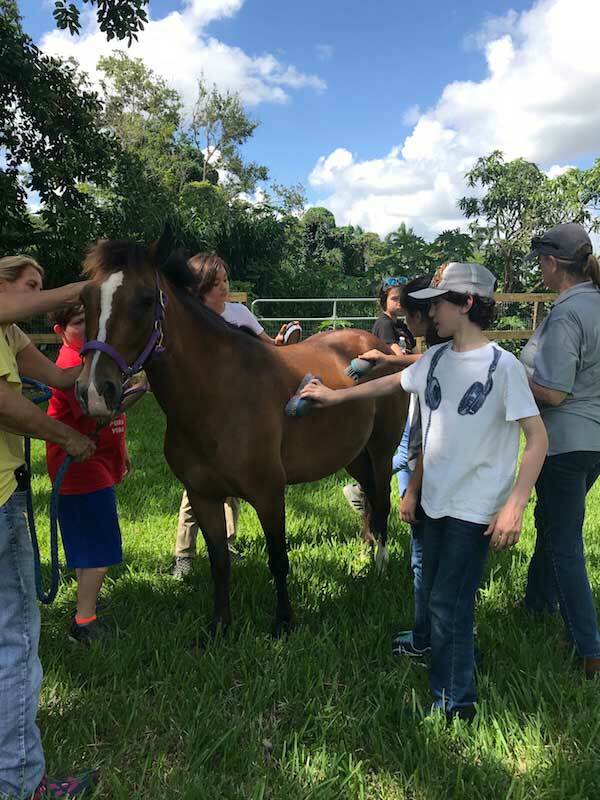 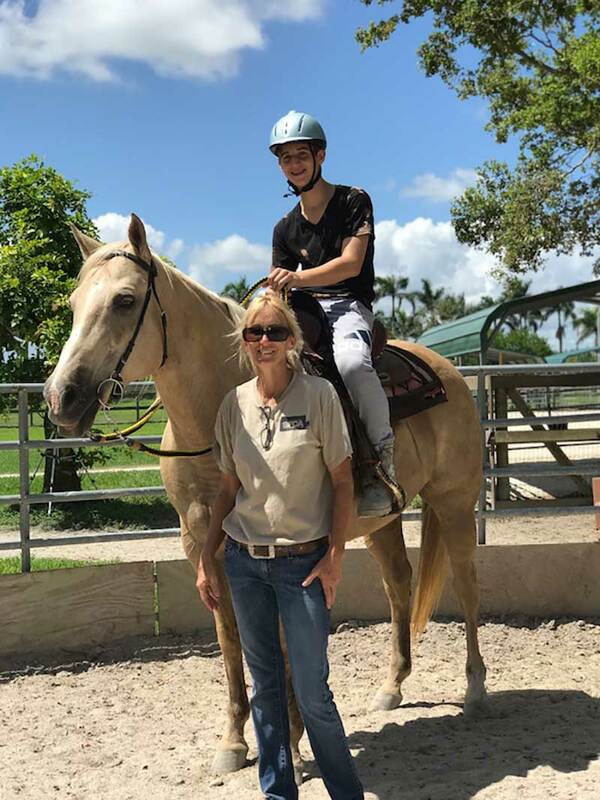 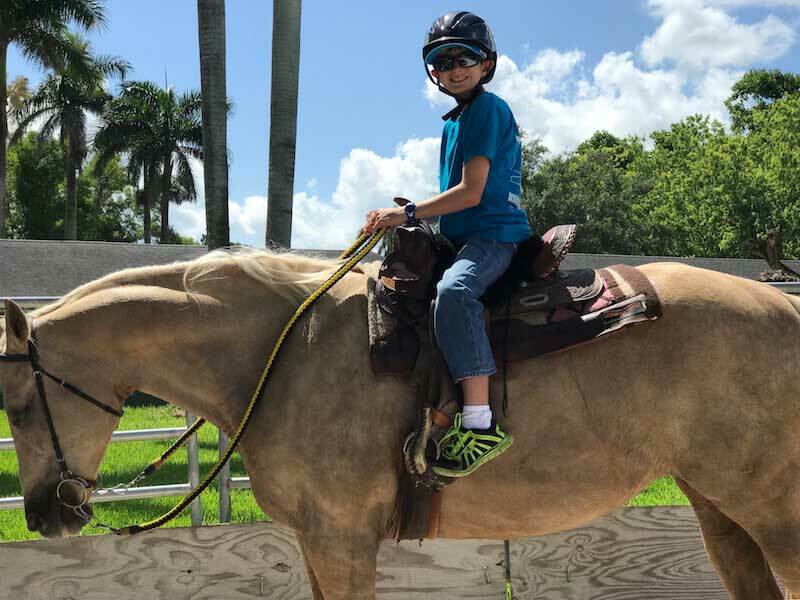 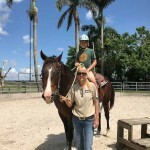 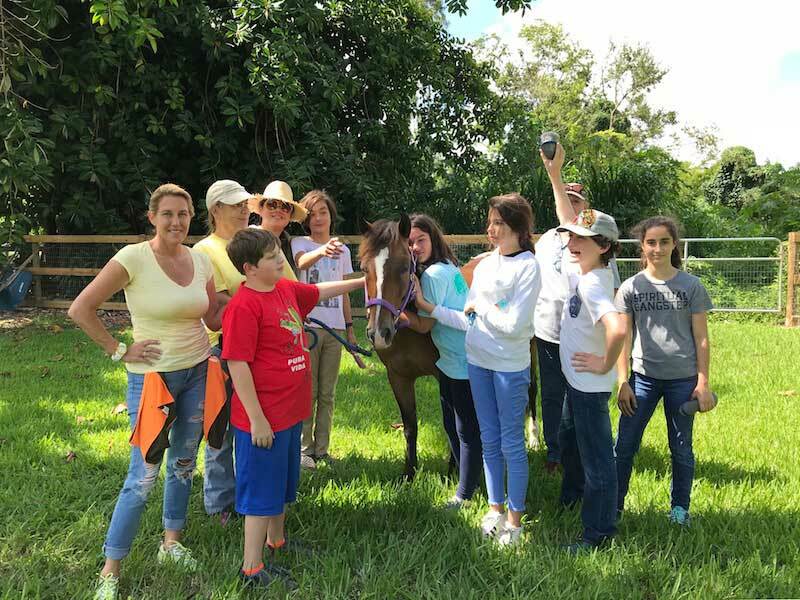 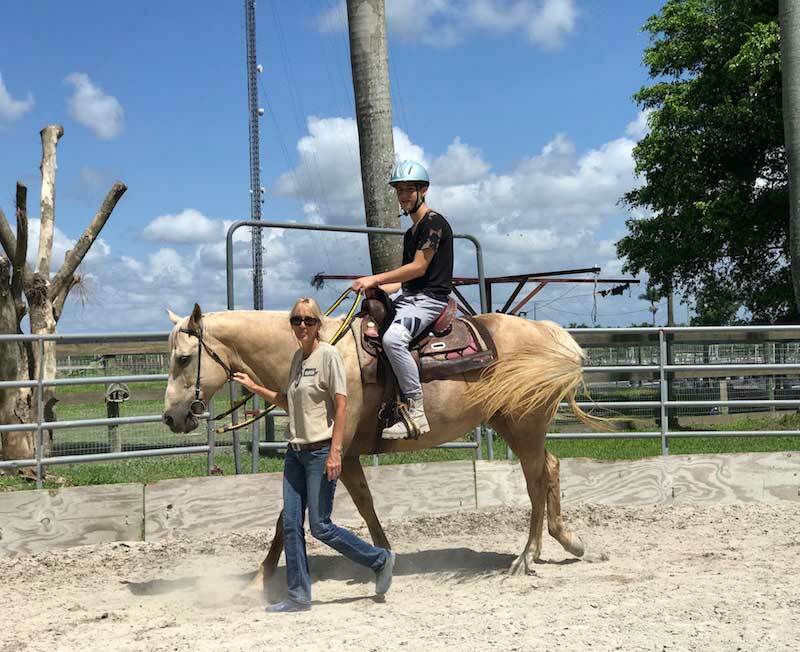 South Florida SPCA Horse Rescue is delighted to welcome groups to the ranch as part of its Education and Outreach Program. 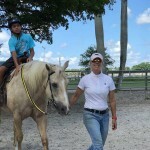 Those interested in coordinating a visit may contact Susie Martell at susie@helpthehorses.org.